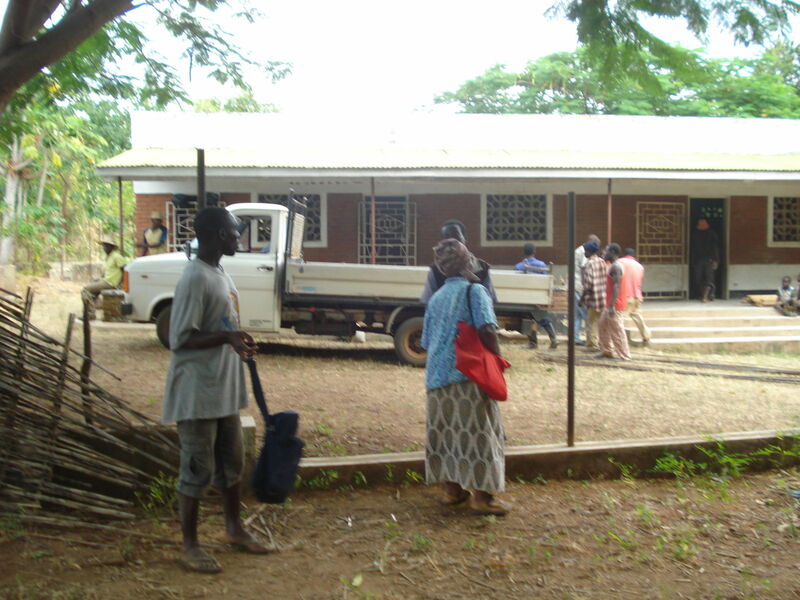 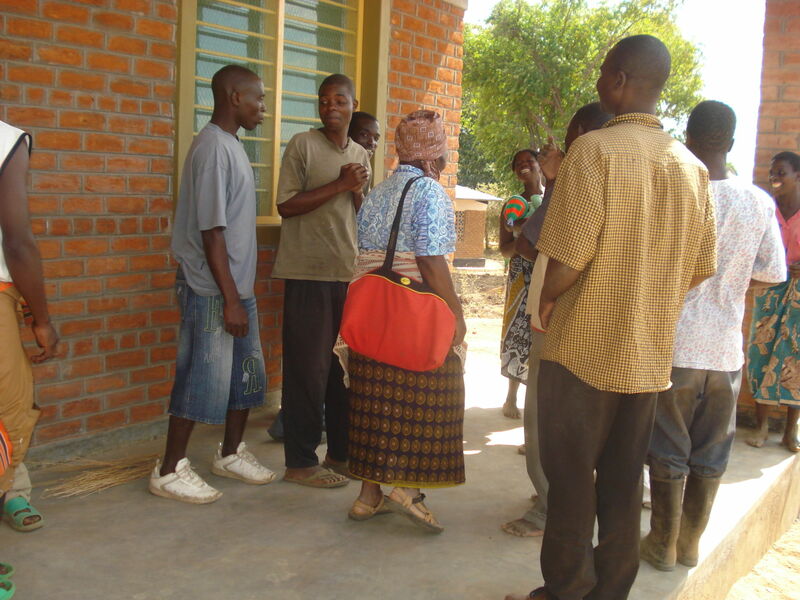 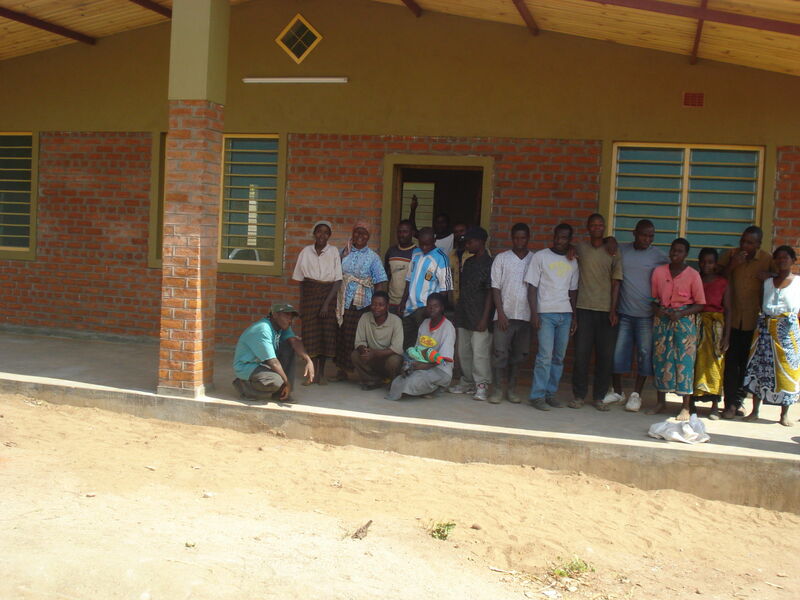 In 2002 Ineke was, together with Nico, in Mua, Malawi, to do anthropological research. 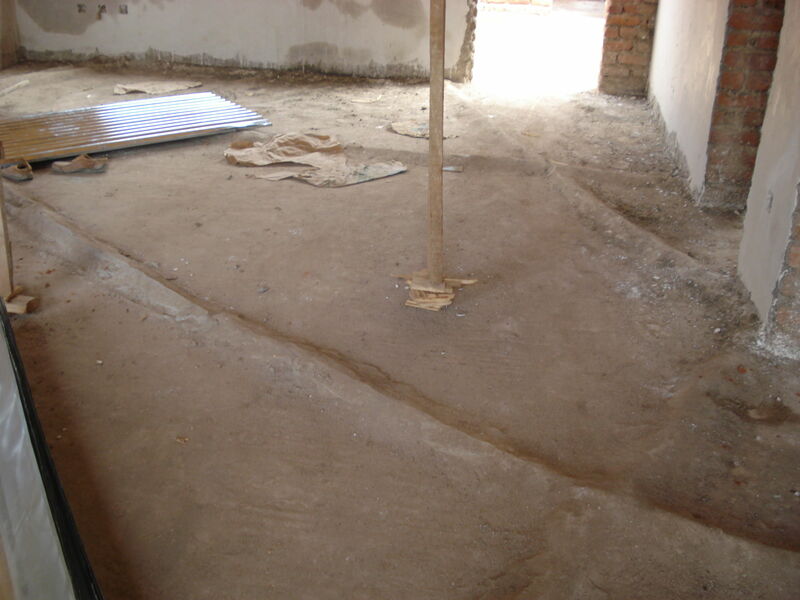 Together they met Josefa, who was living there at the time. 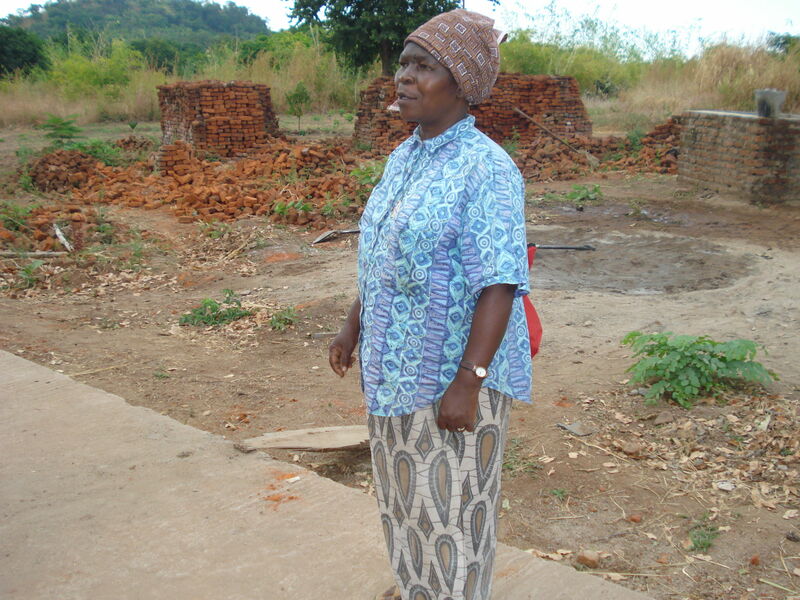 Josefa became translator, partner and friend to Ineke. 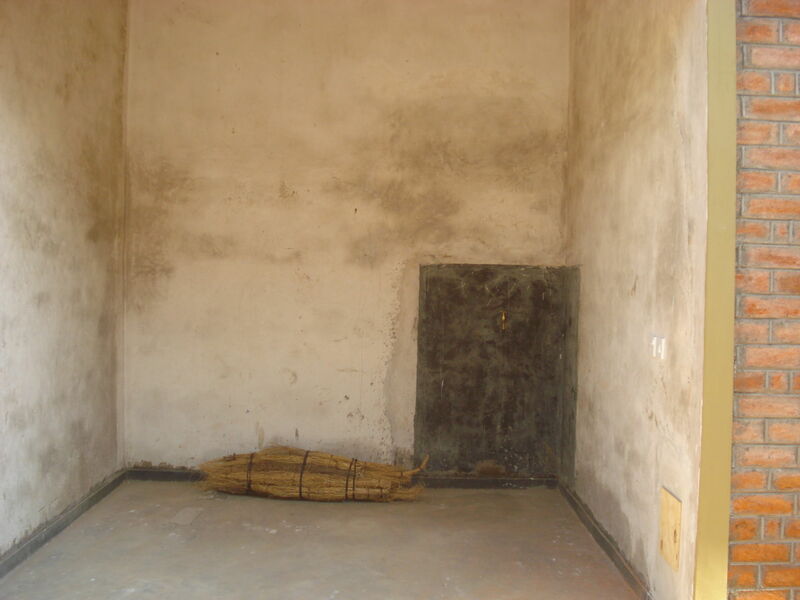 Together they participated in many women's rituals, making lots of friends along the way. 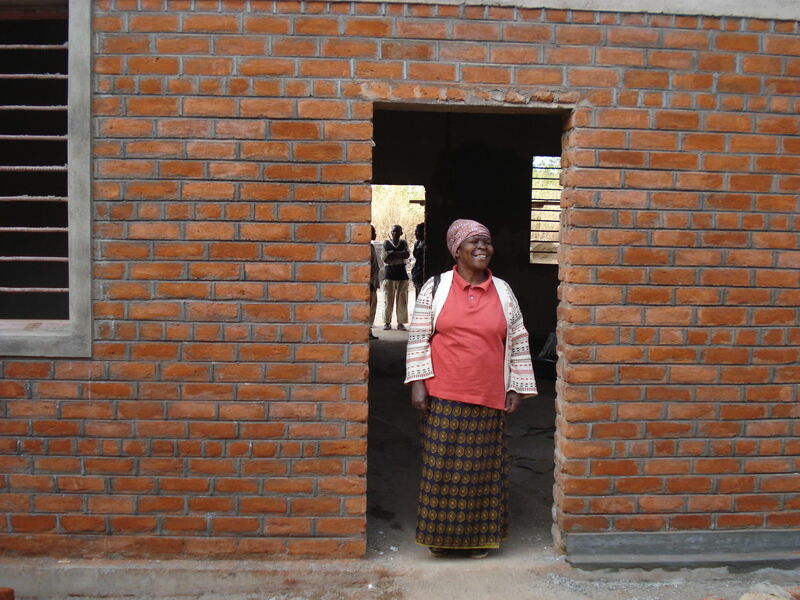 Josefa shared her dream, her vision, of creating a place where people can come together to develop themselves and each other and where they can live and work together for the common good. 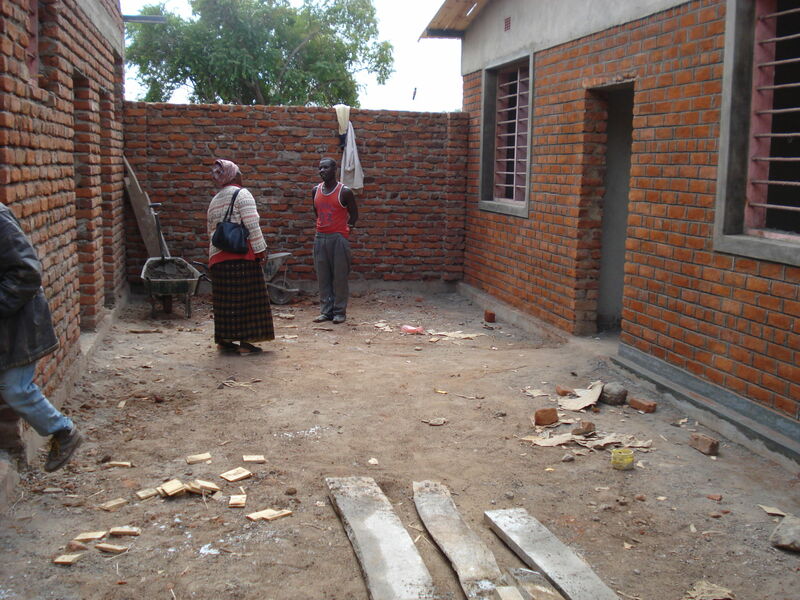 Ineke and Nico decided to help her and became partners through the Nazareth Foundation. 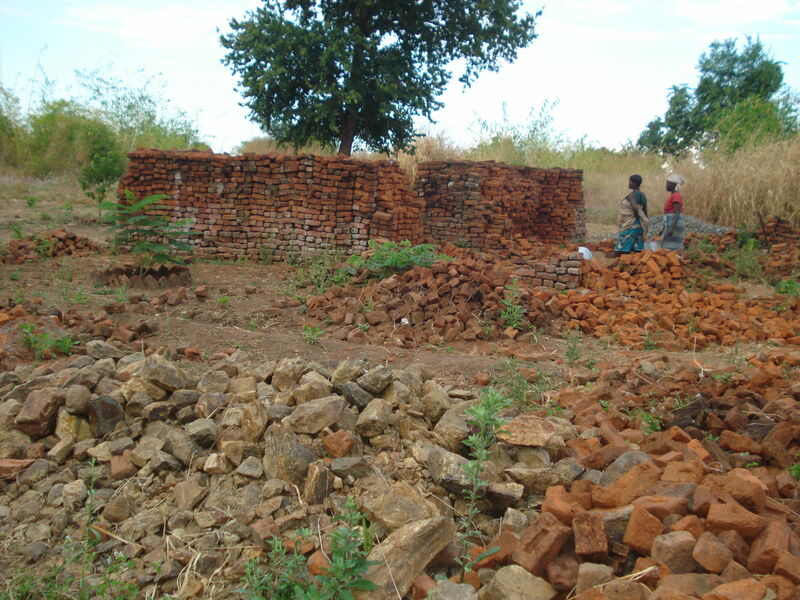 The people of the village Jemusi were also inspired by Josefa's dream. 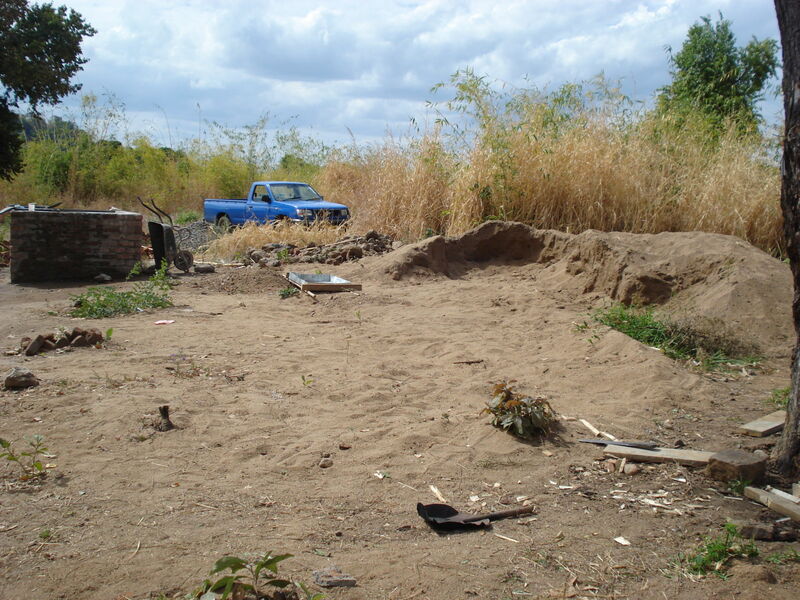 They donated the 8 acres of land to start the project. 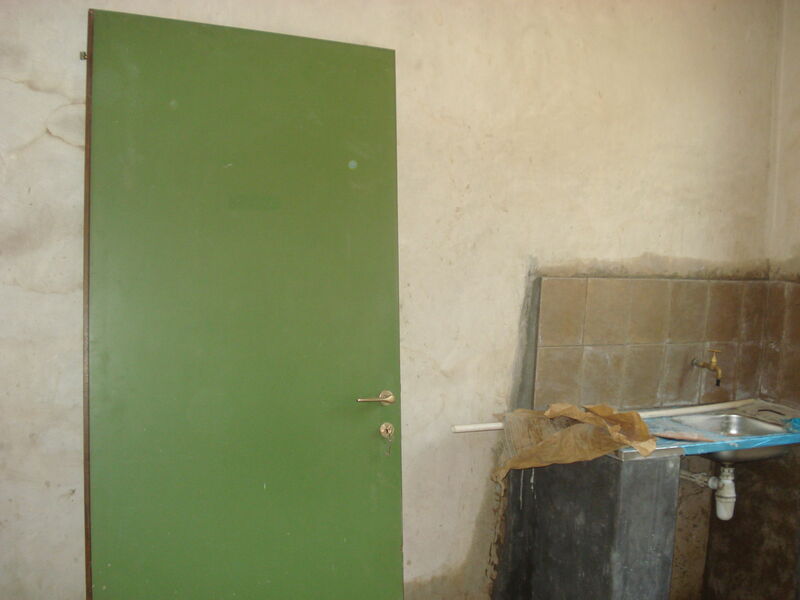 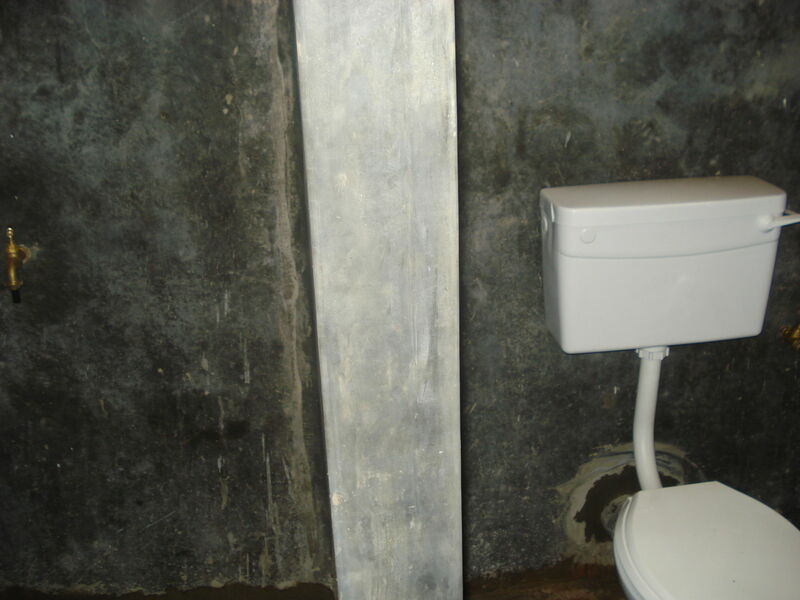 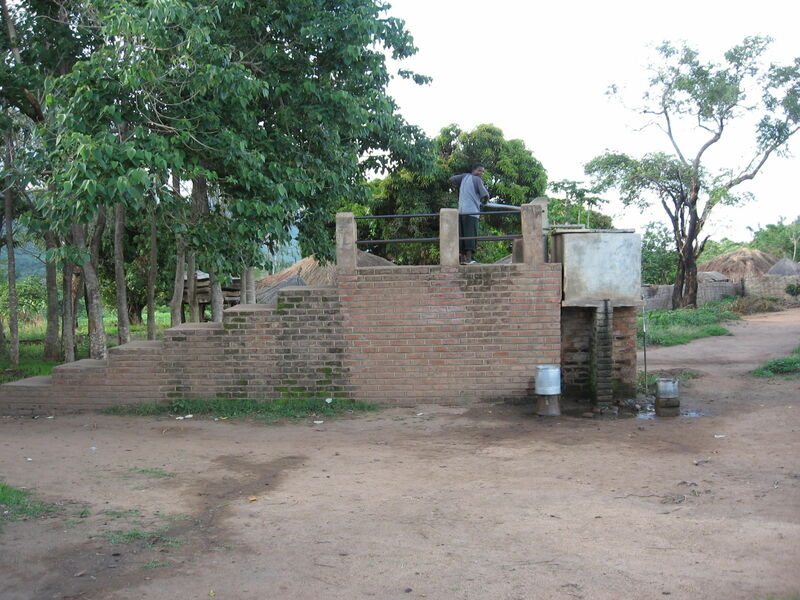 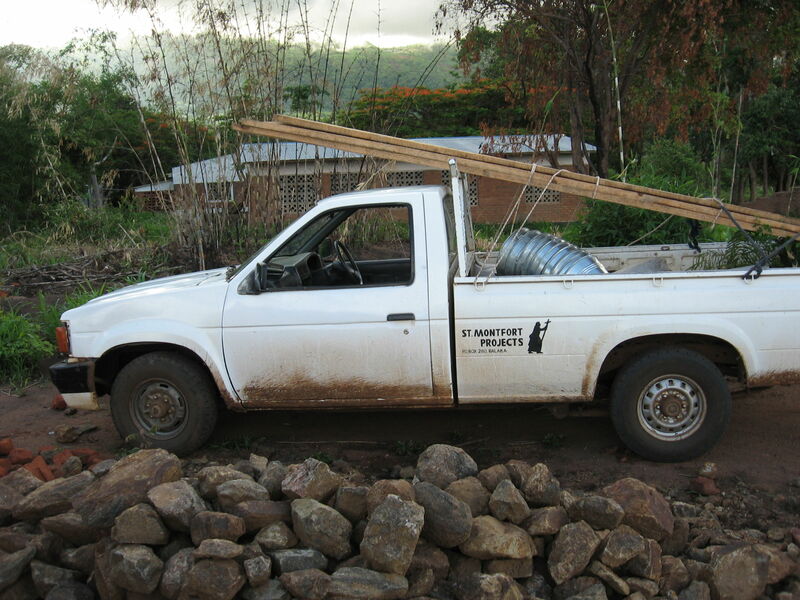 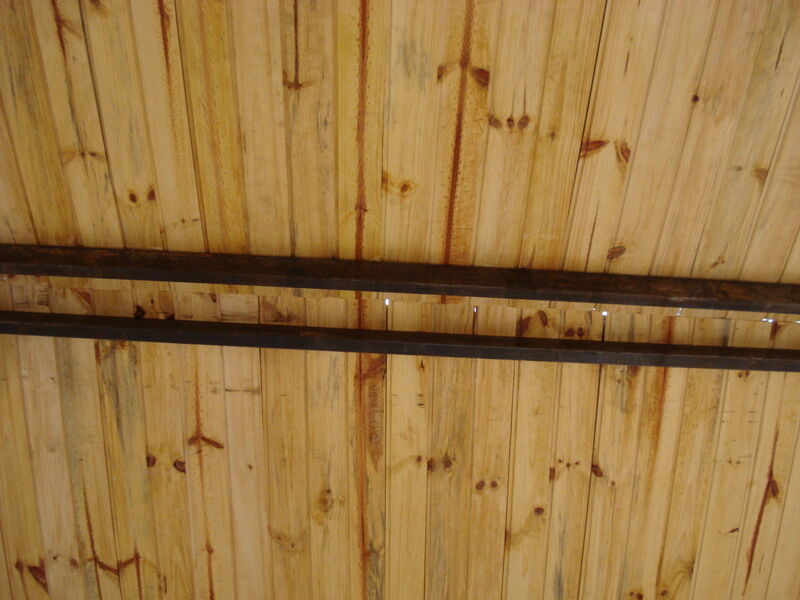 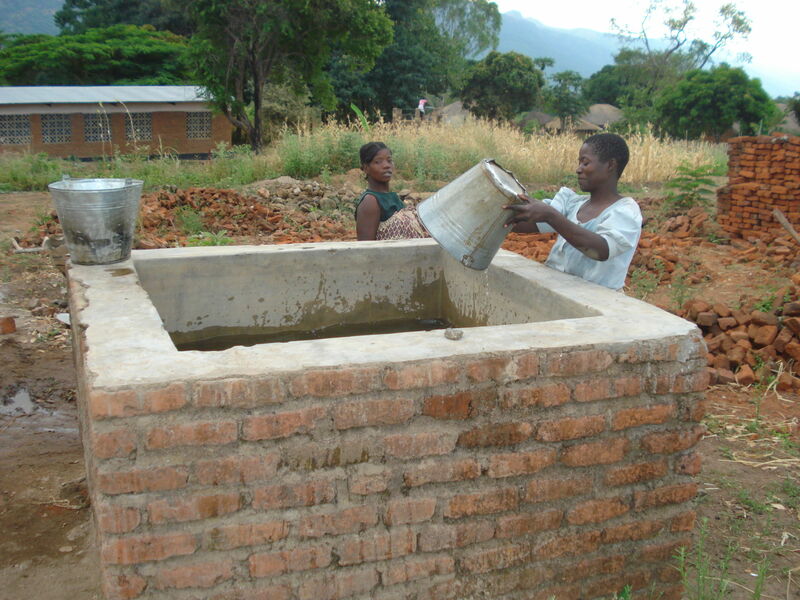 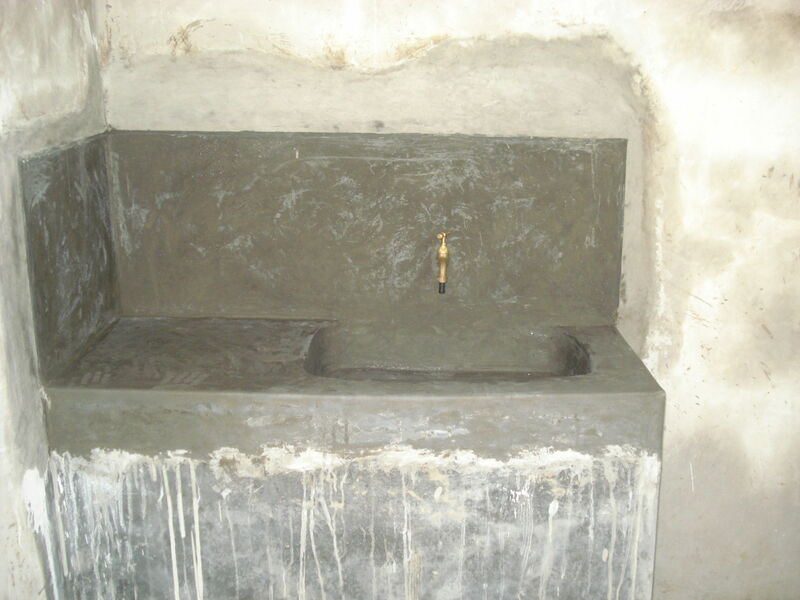 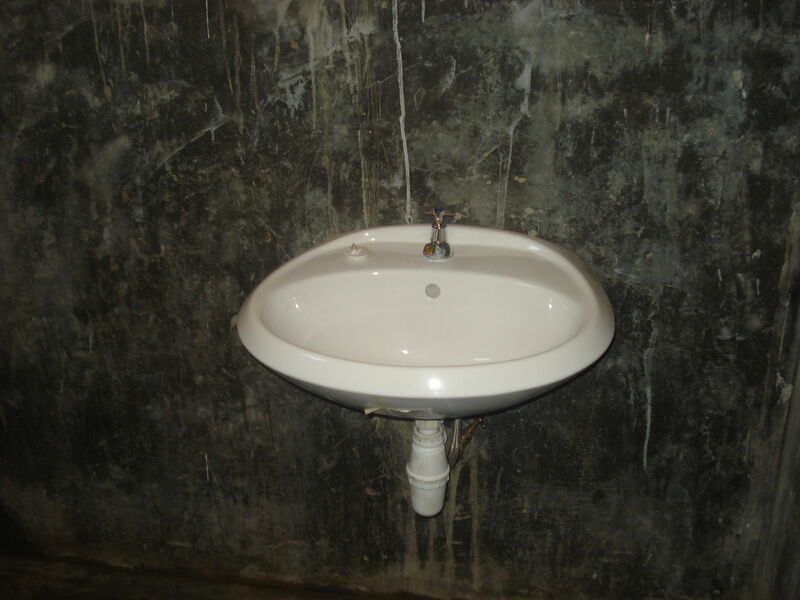 In september 2007 a borehole was drilled on the premises of Nazareth, funded by a private donor. 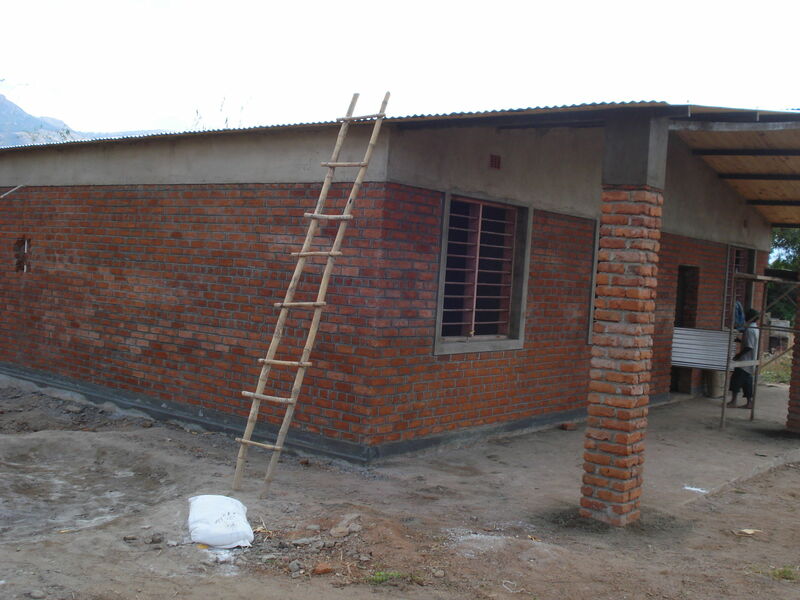 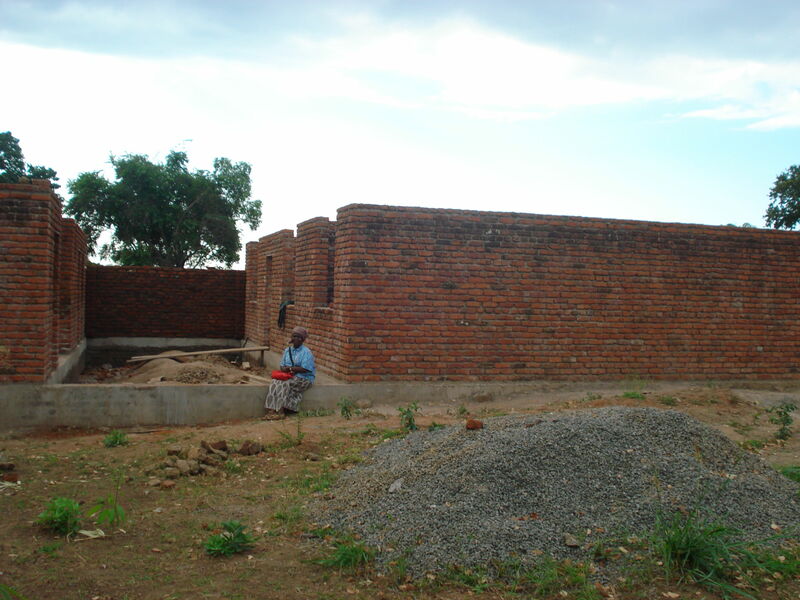 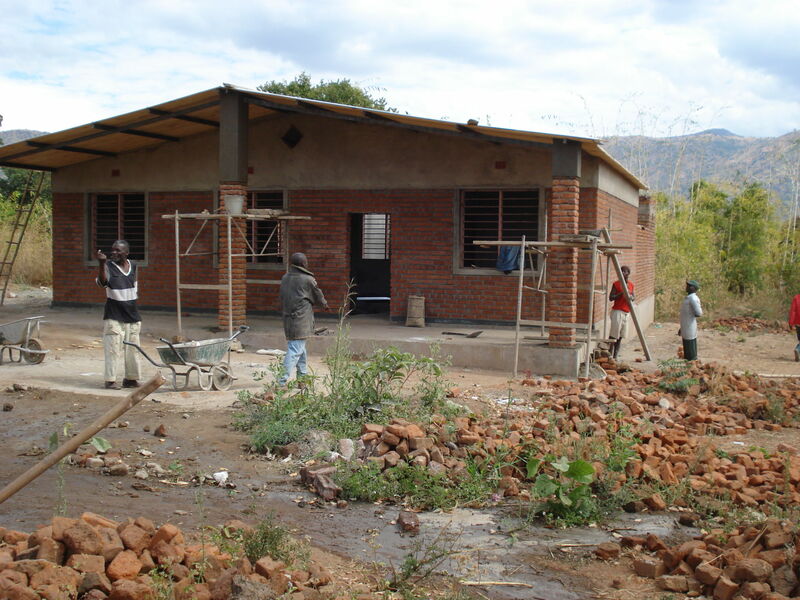 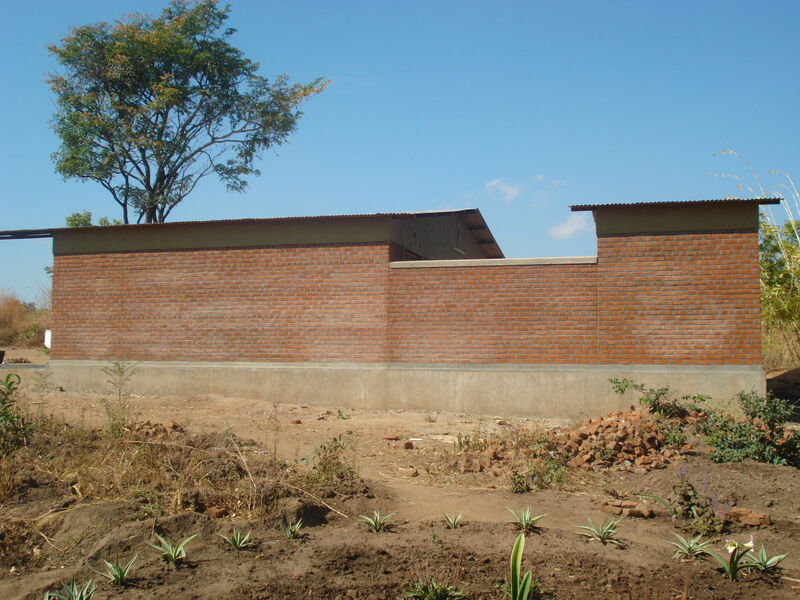 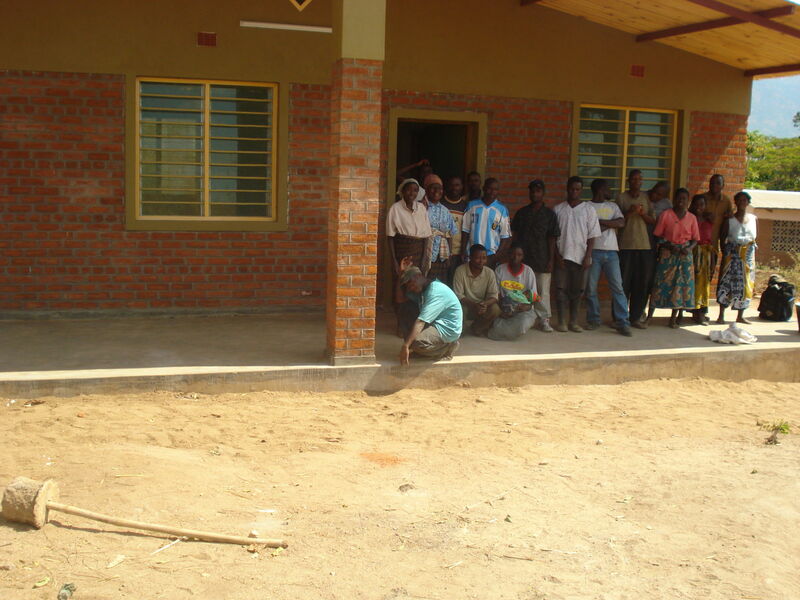 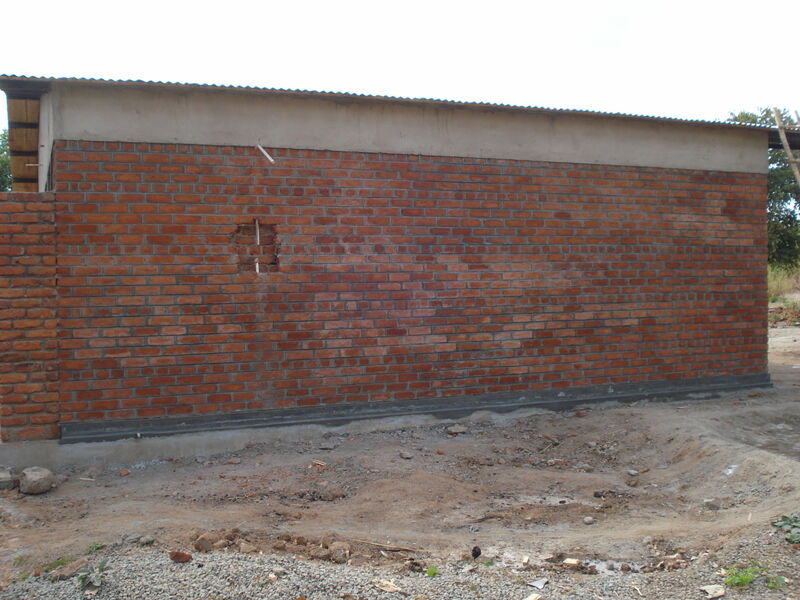 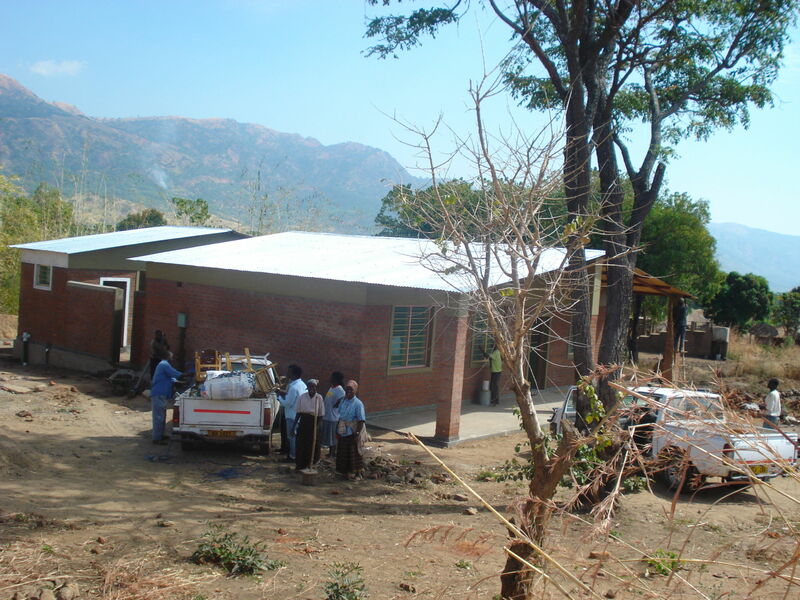 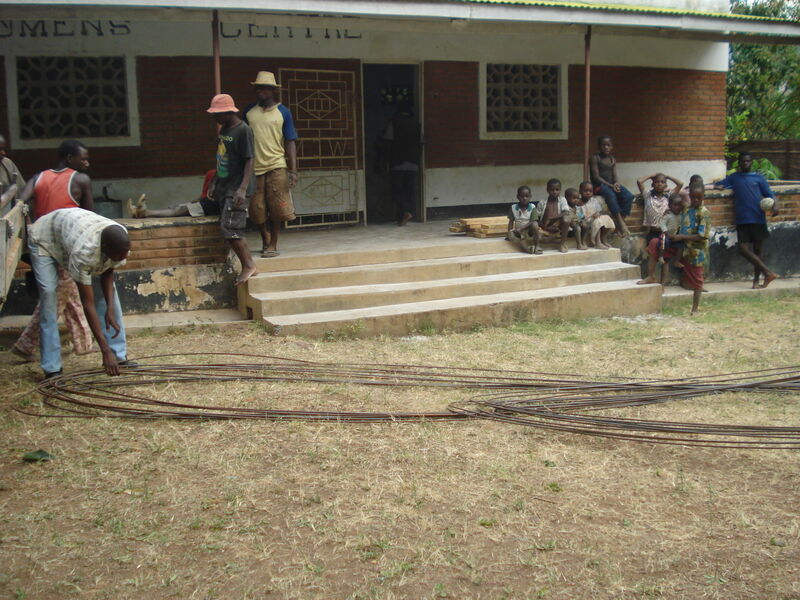 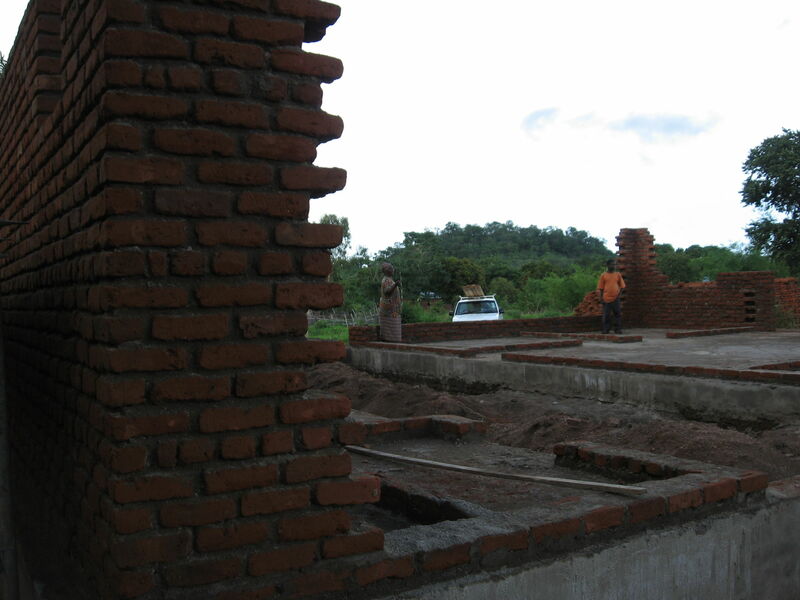 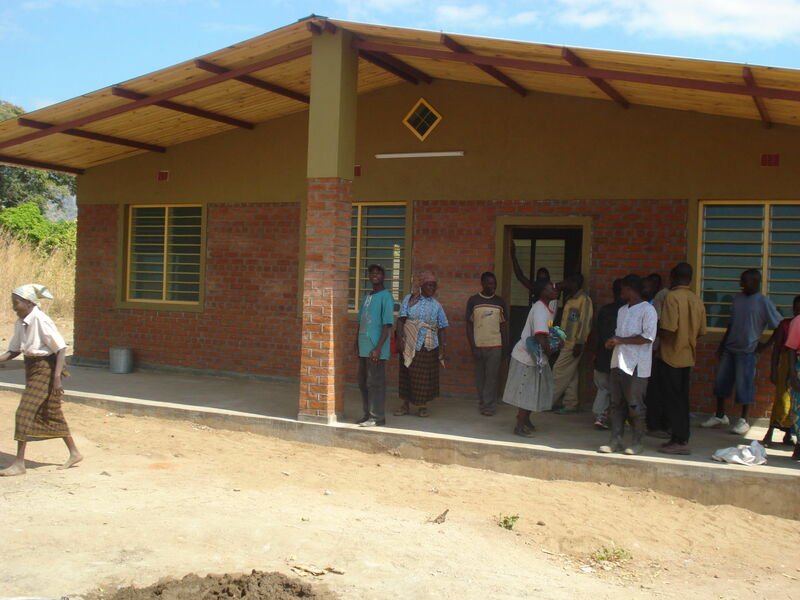 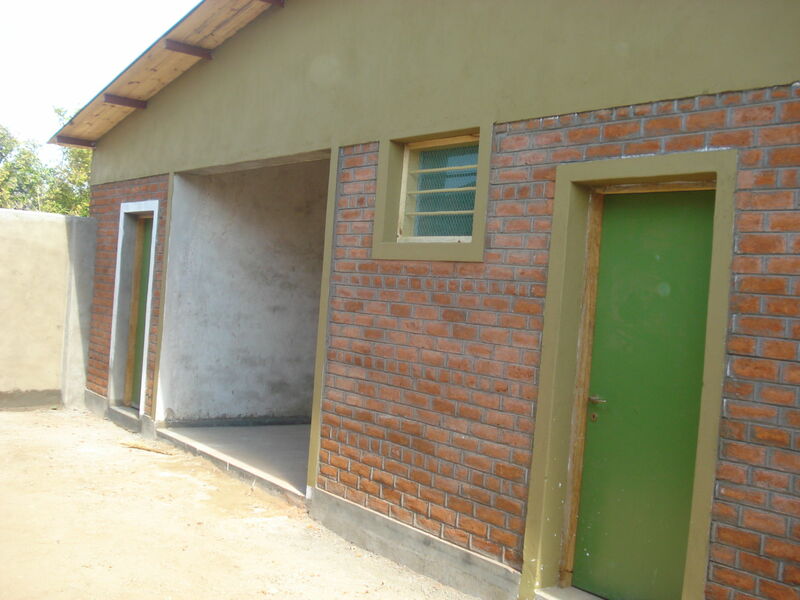 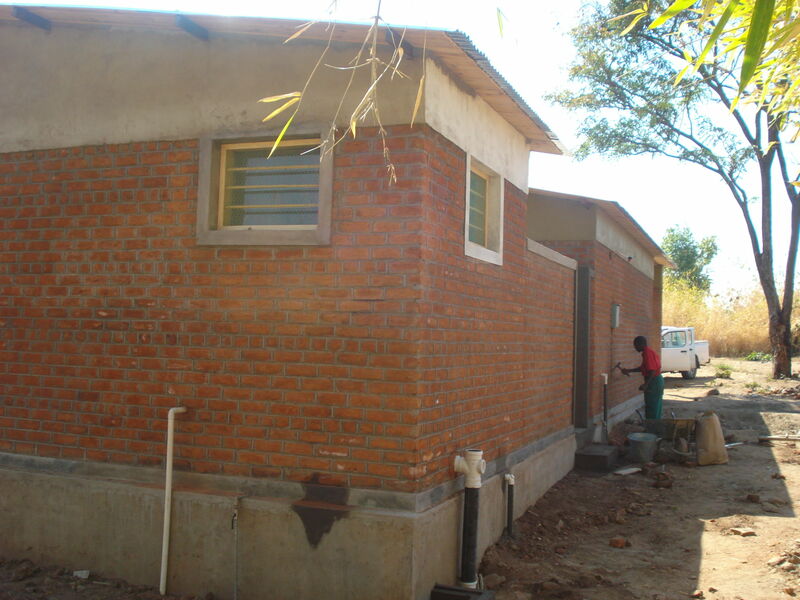 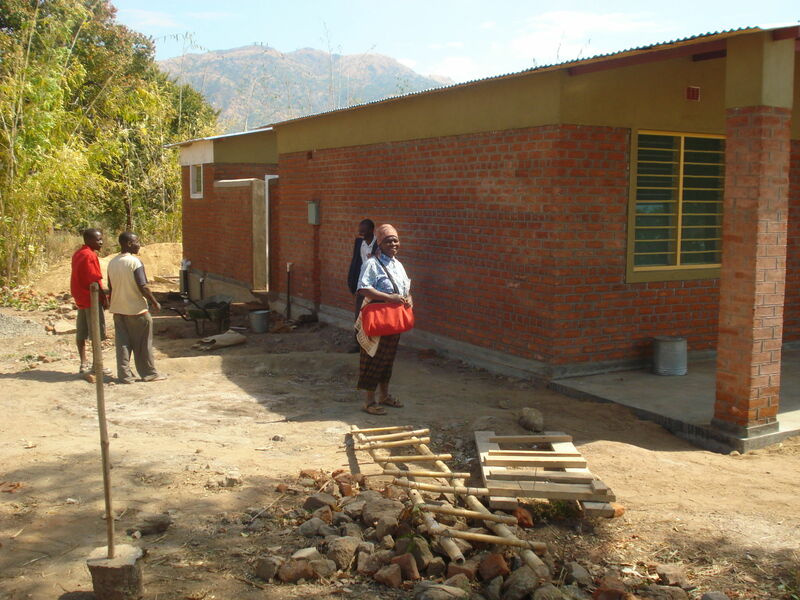 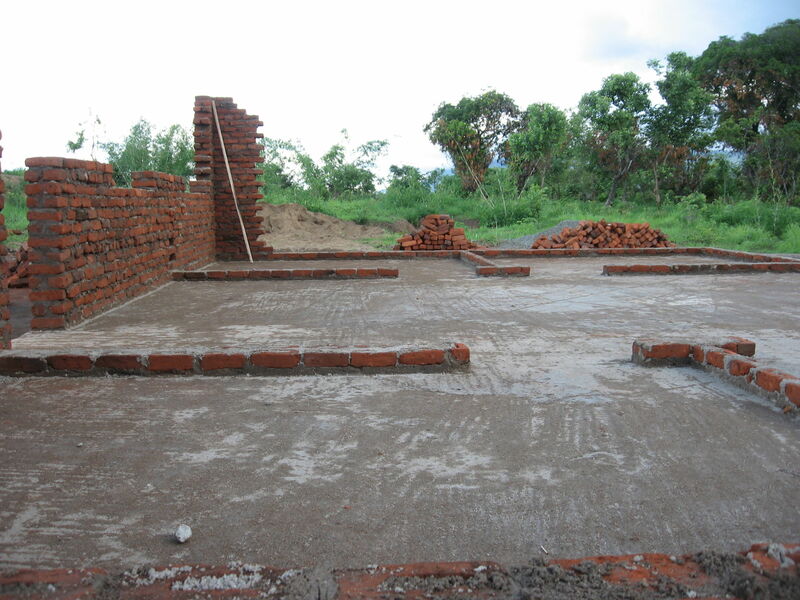 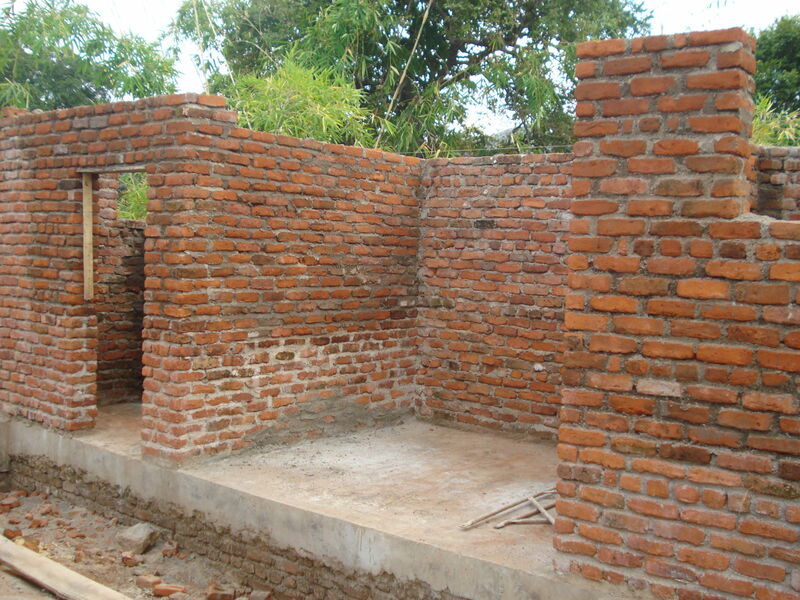 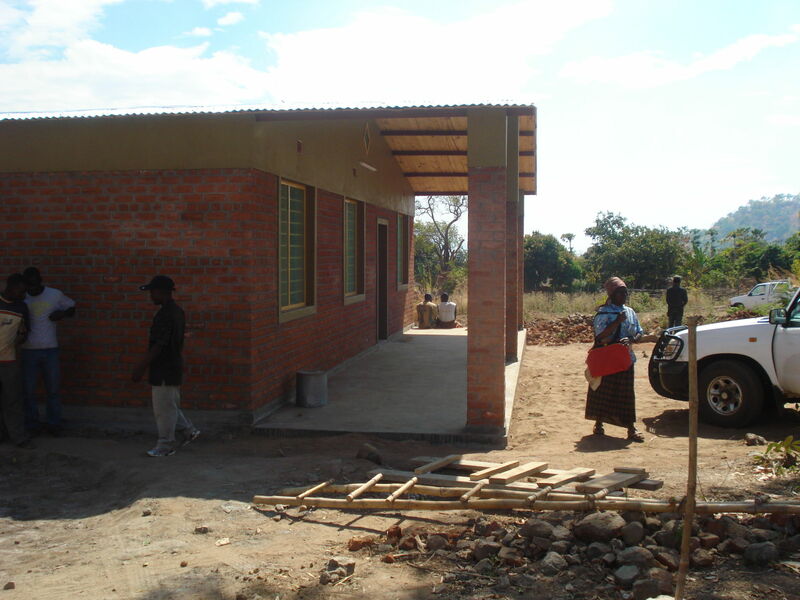 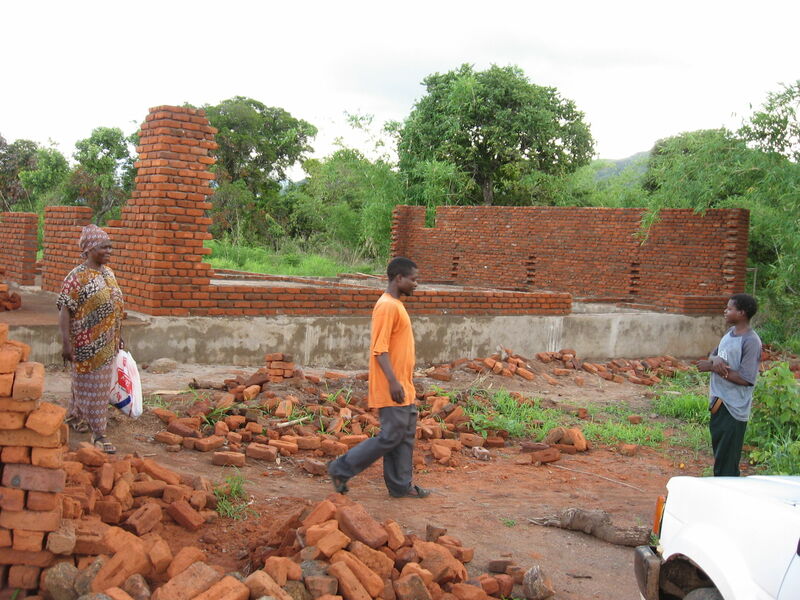 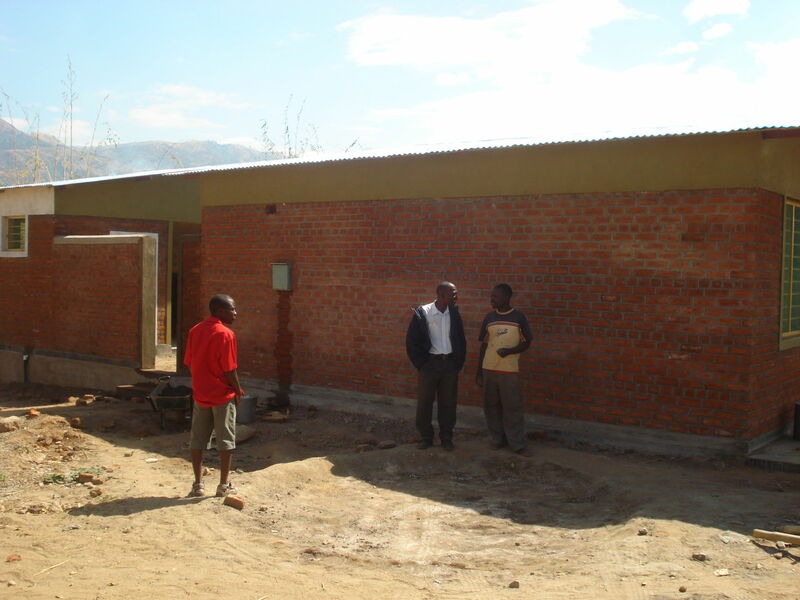 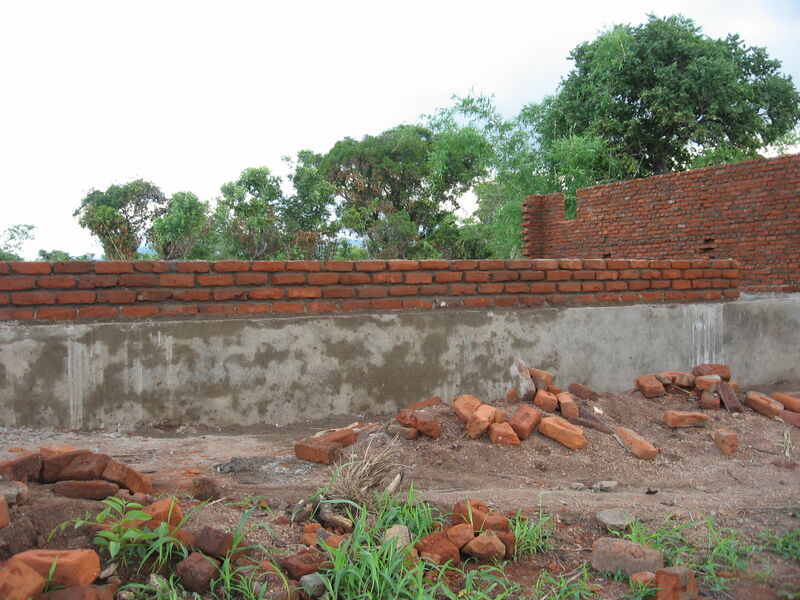 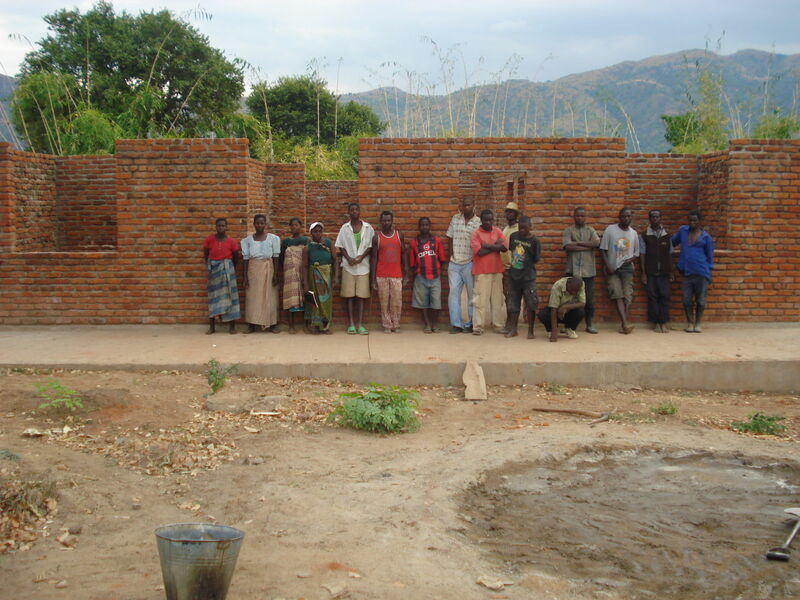 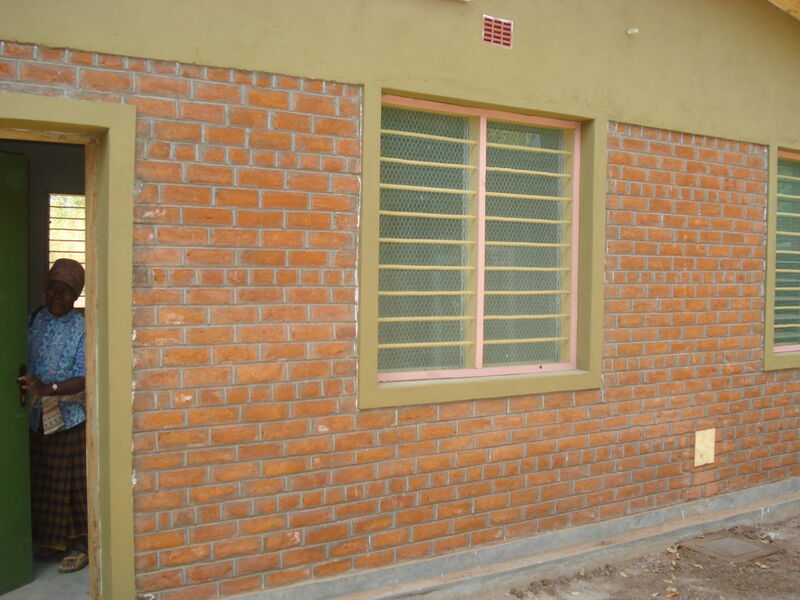 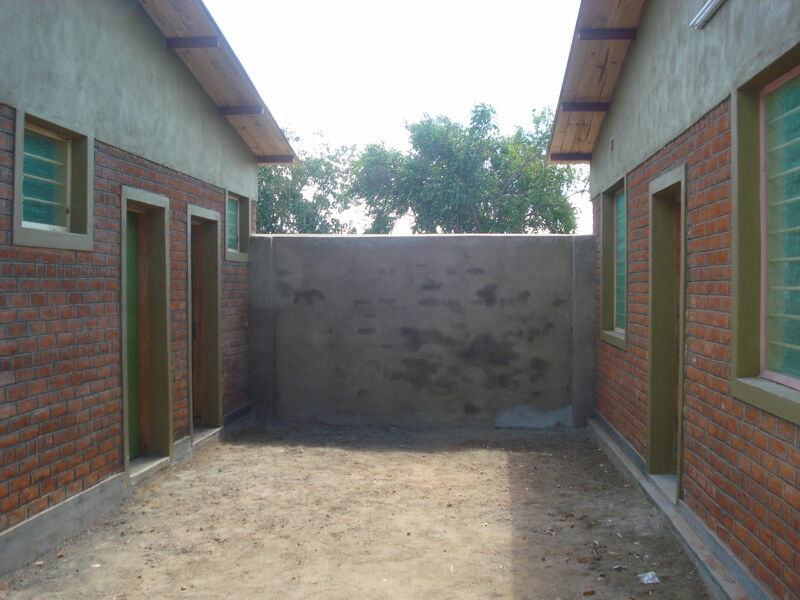 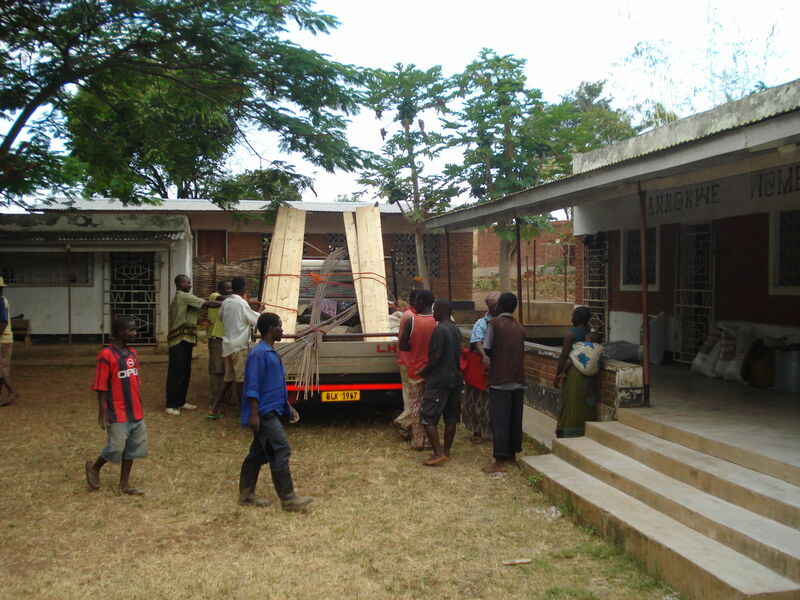 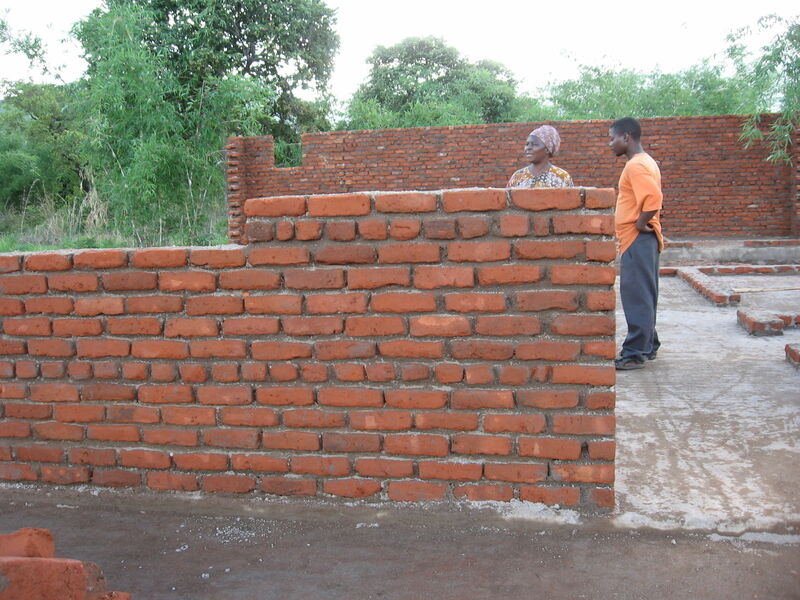 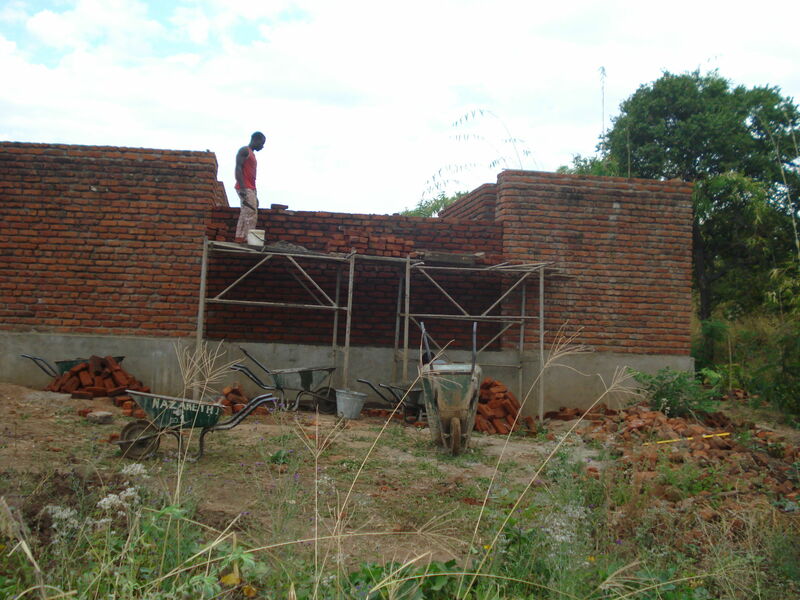 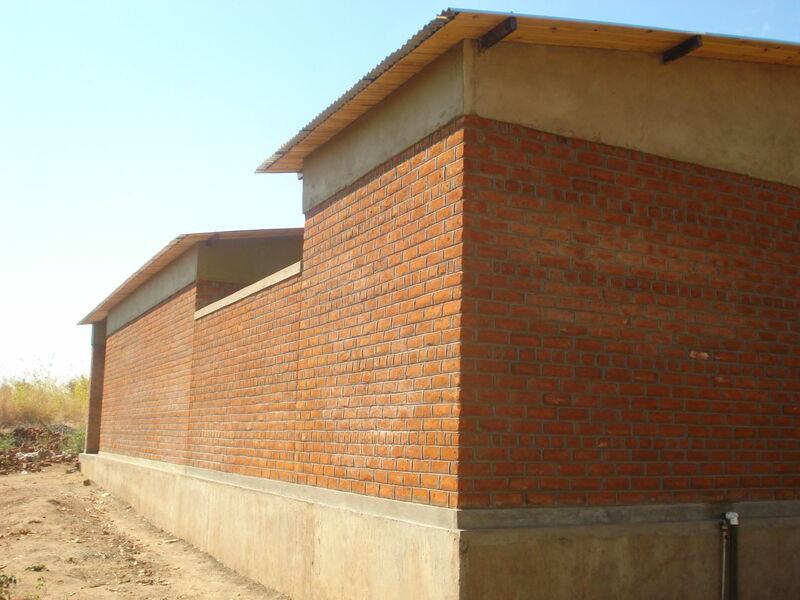 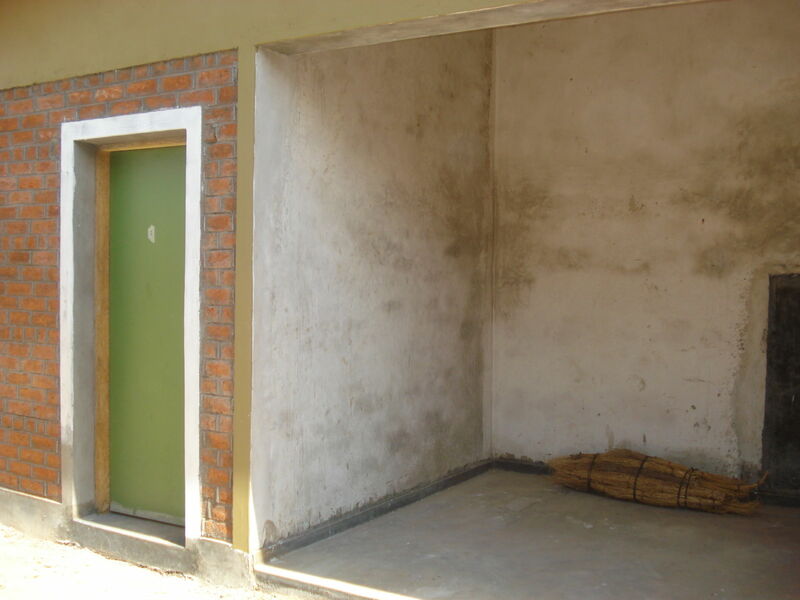 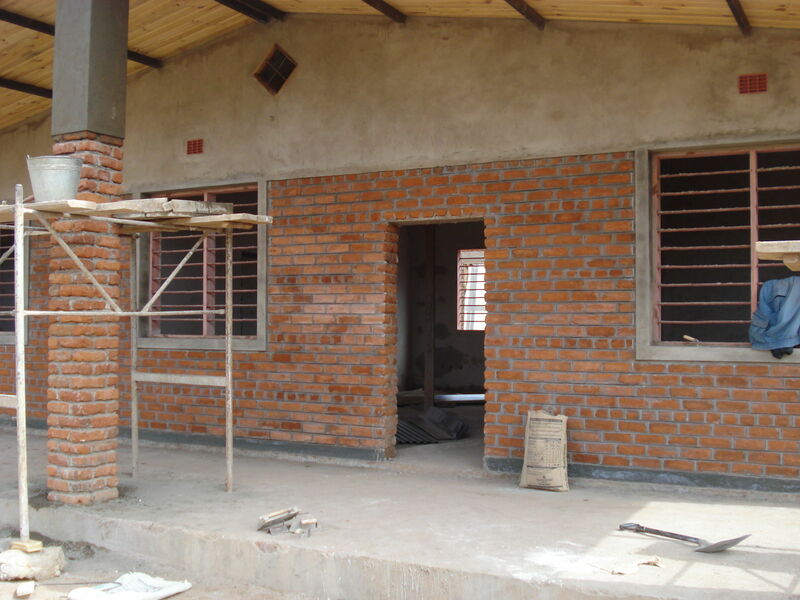 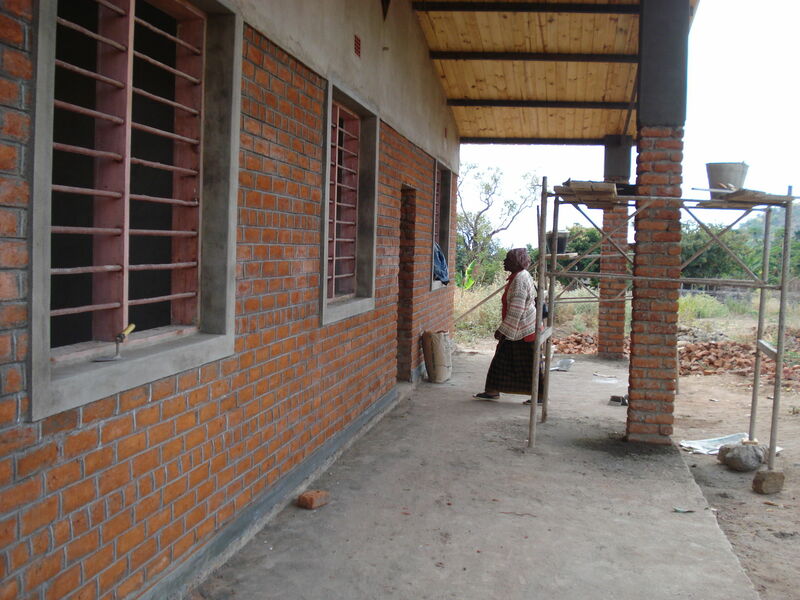 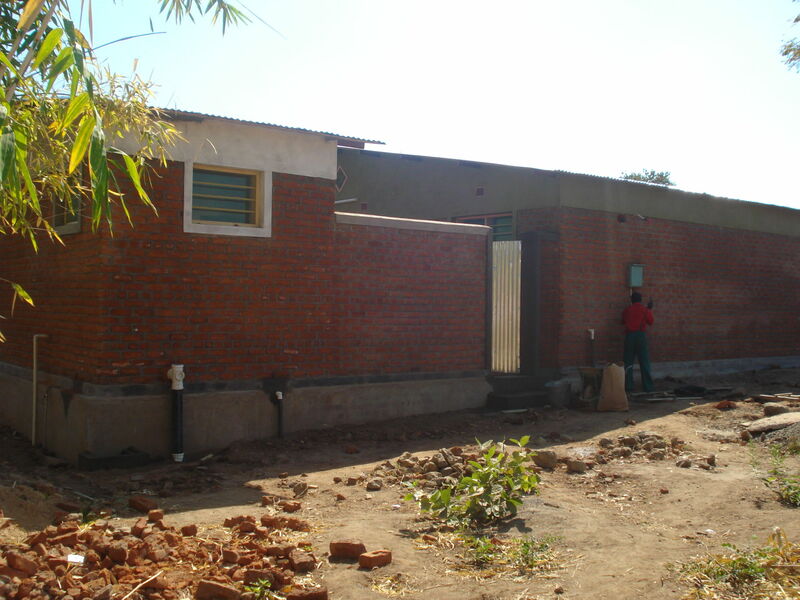 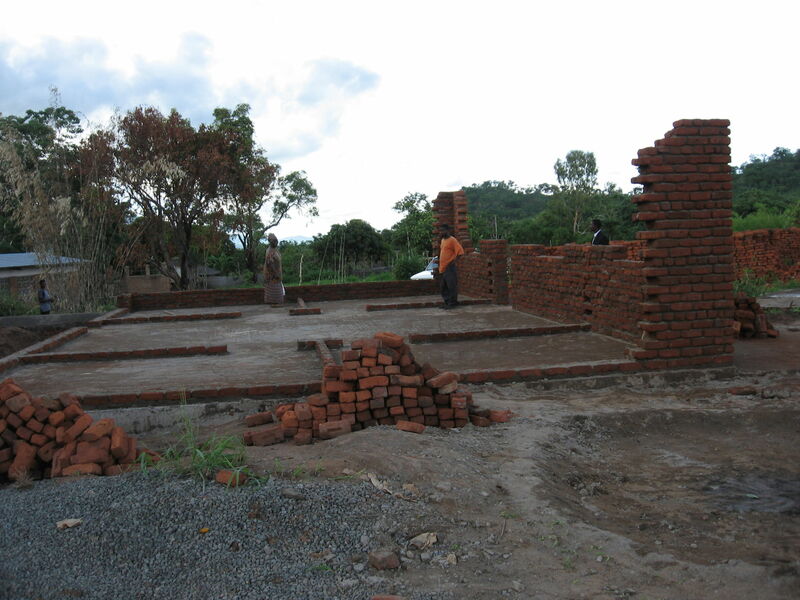 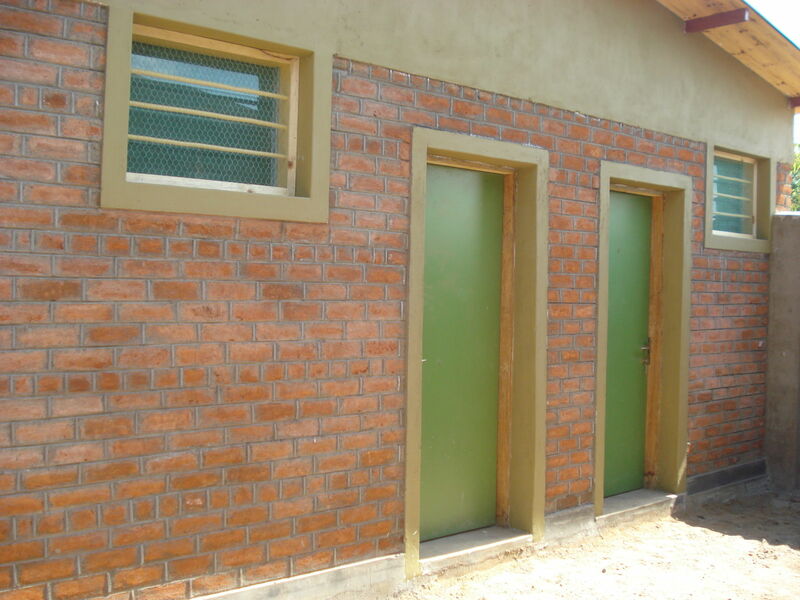 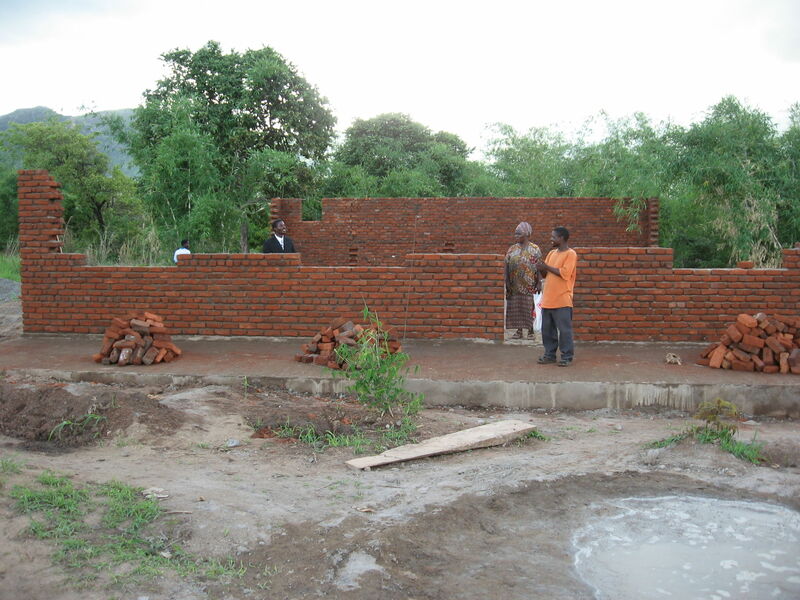 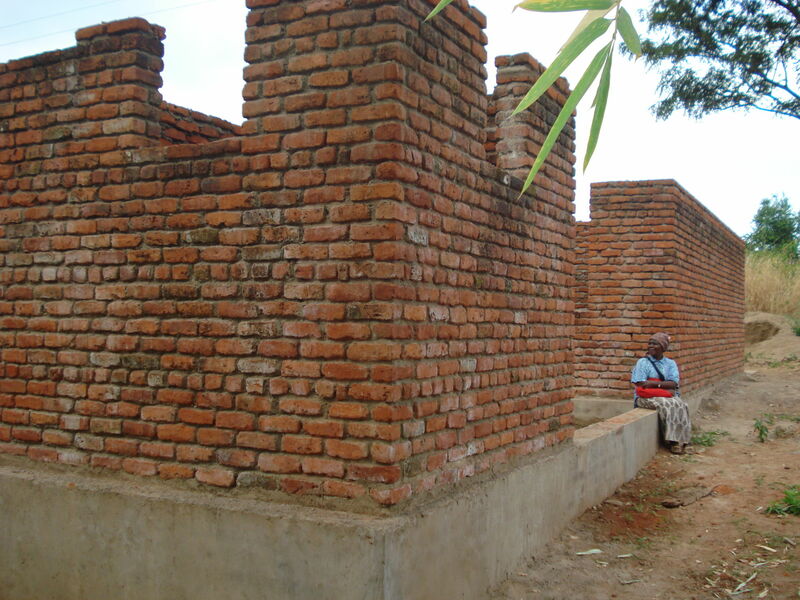 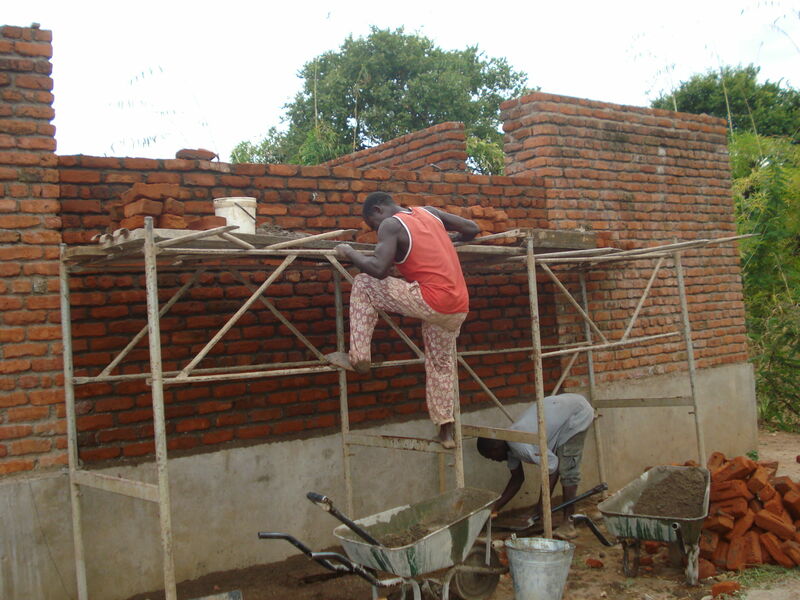 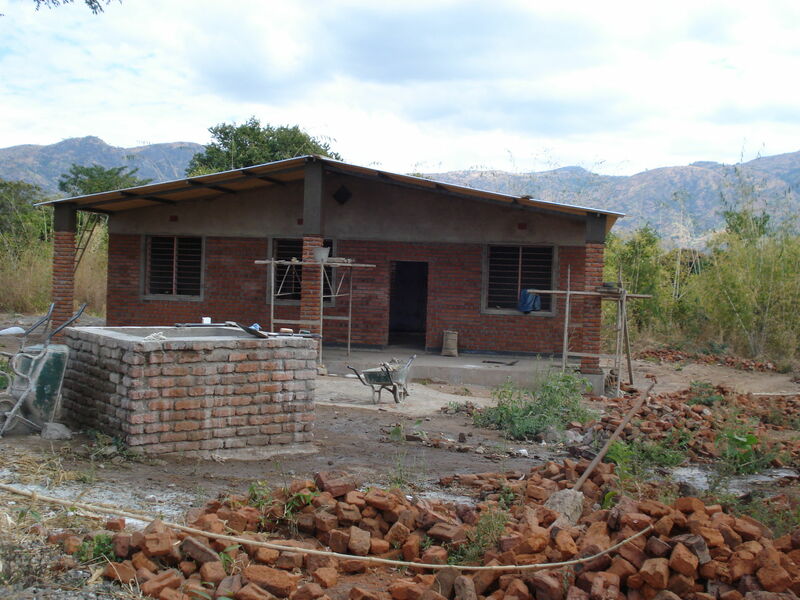 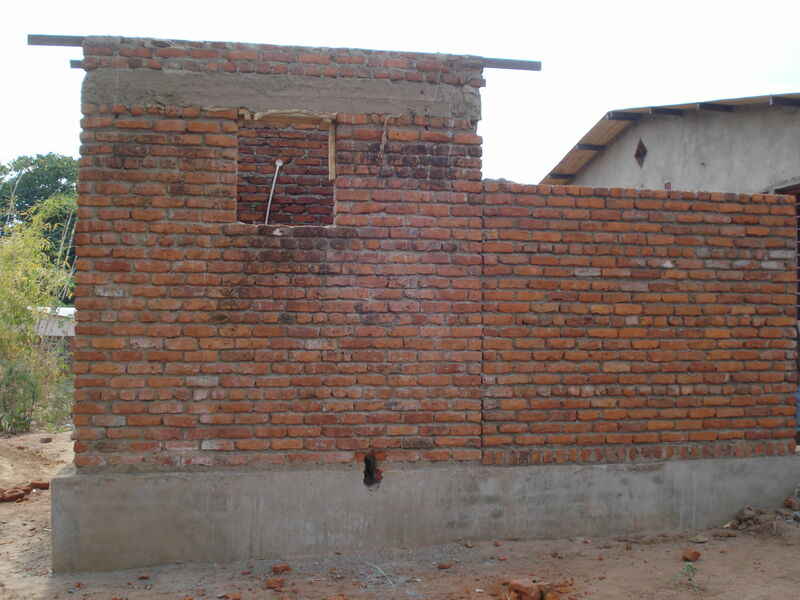 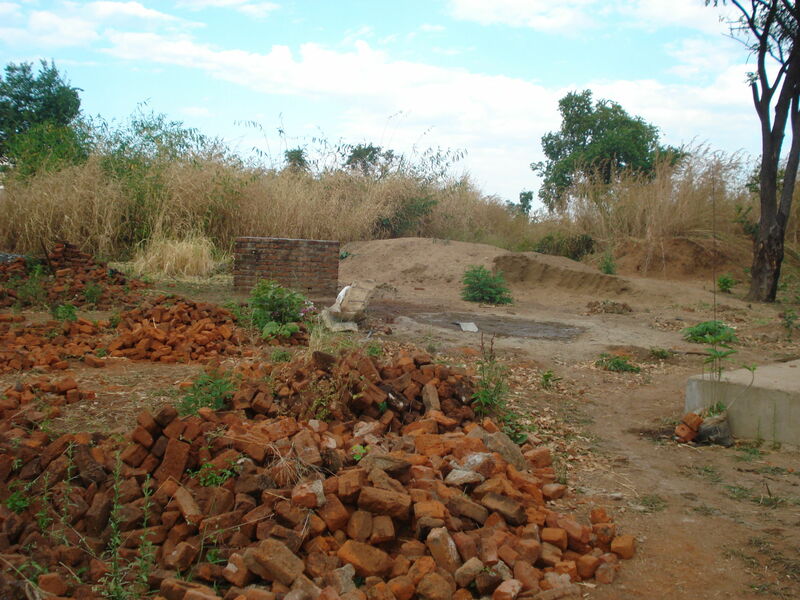 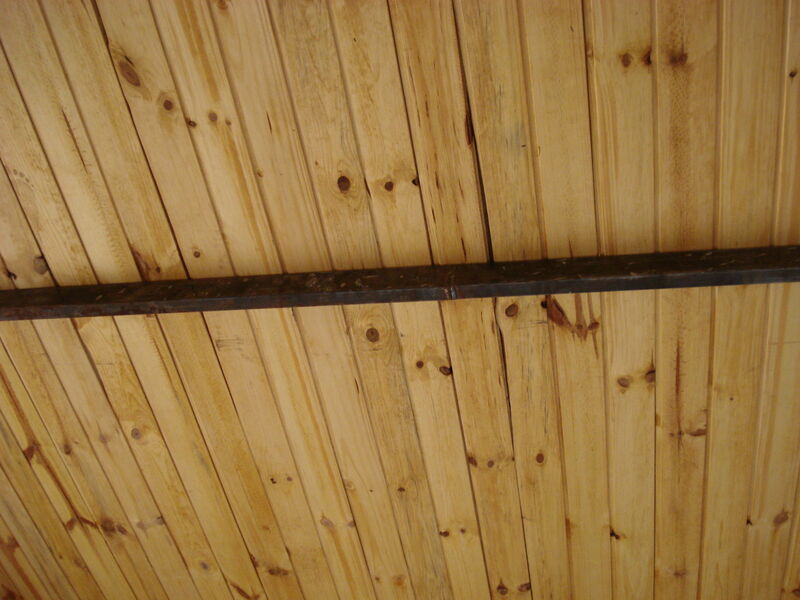 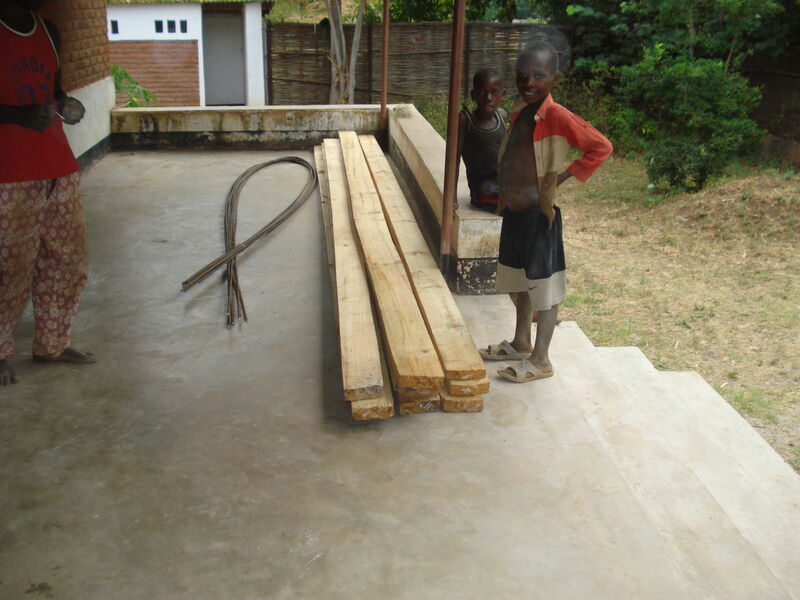 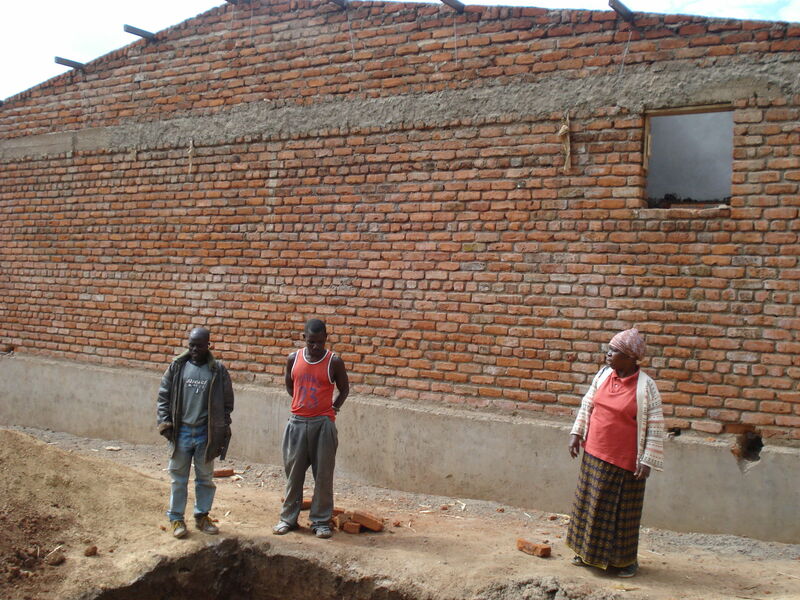 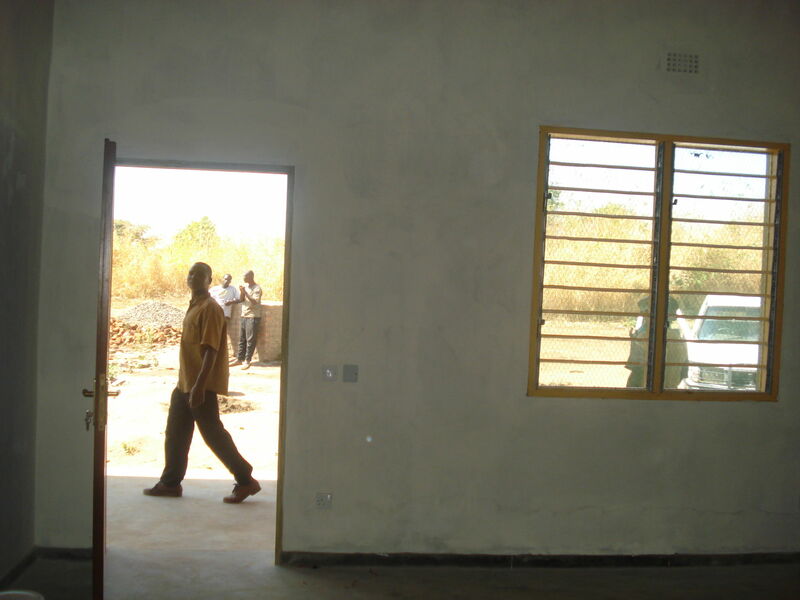 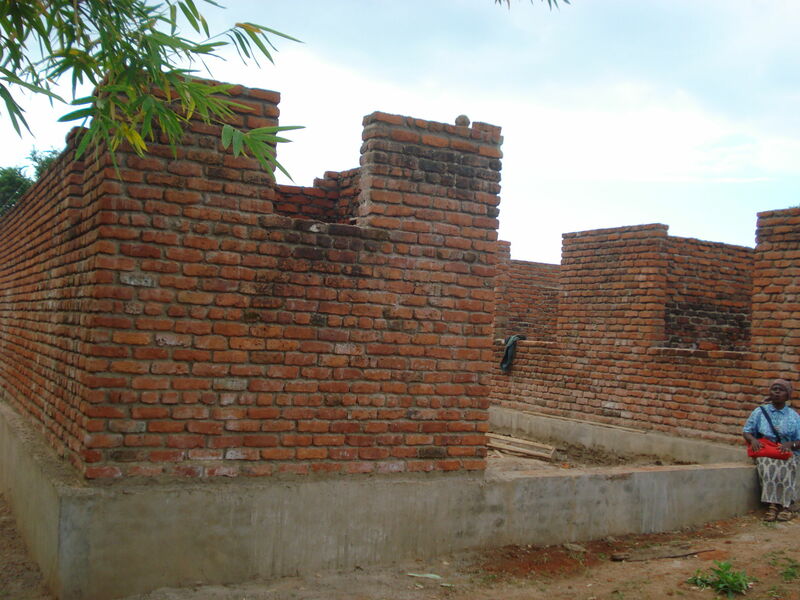 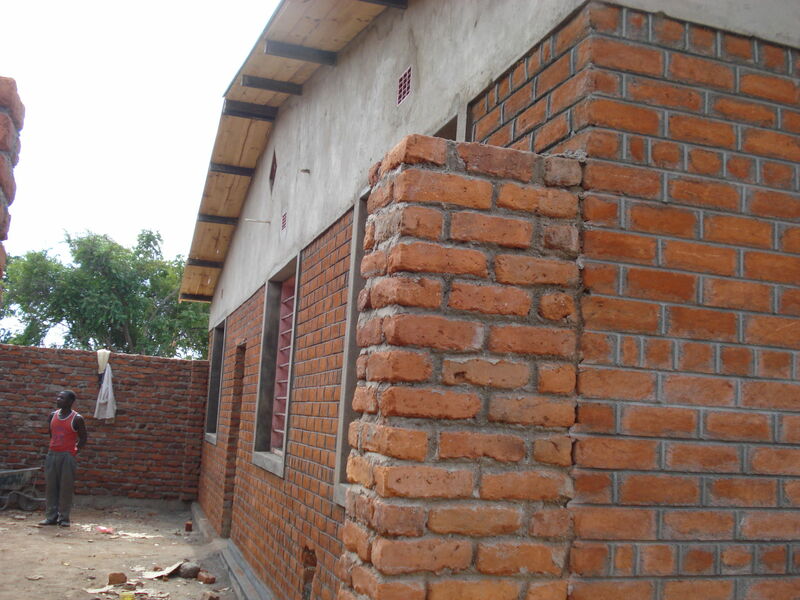 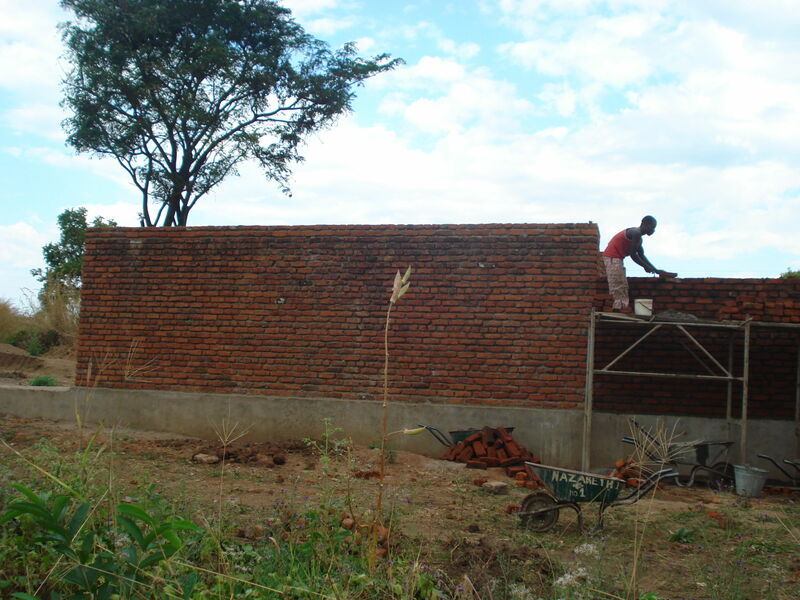 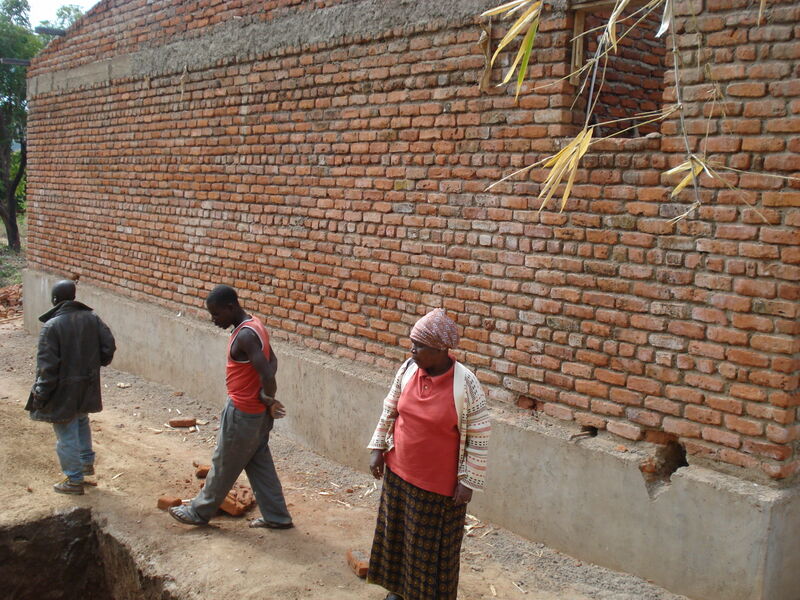 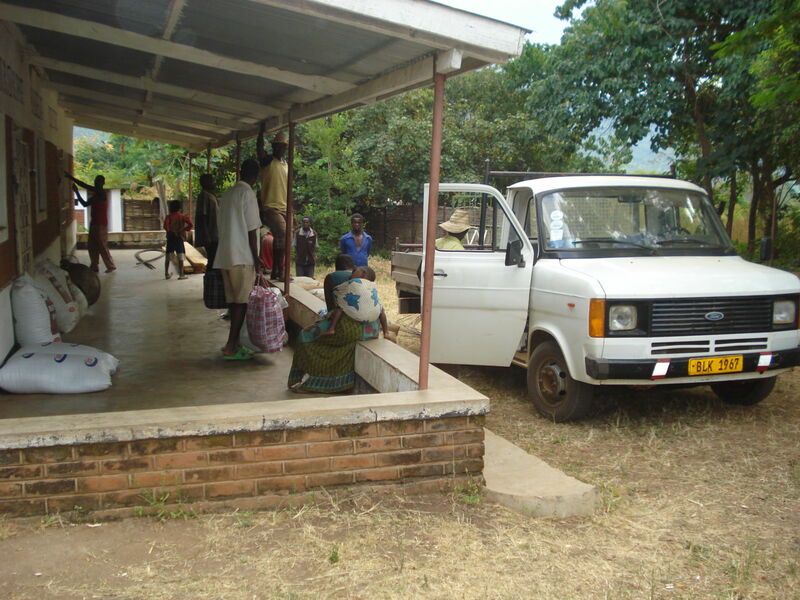 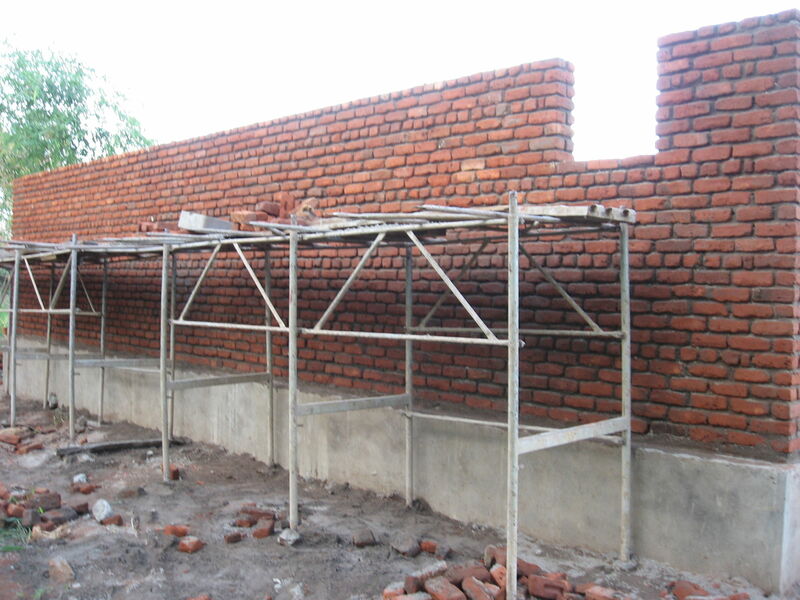 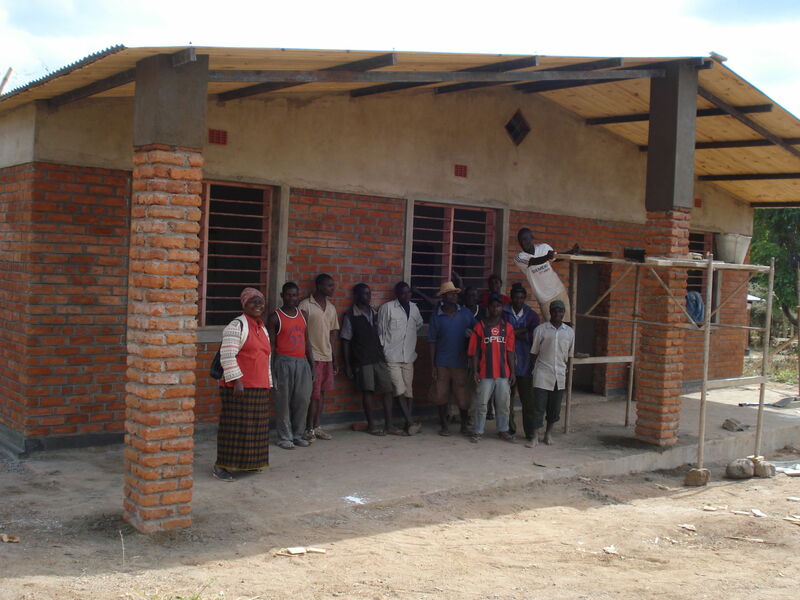 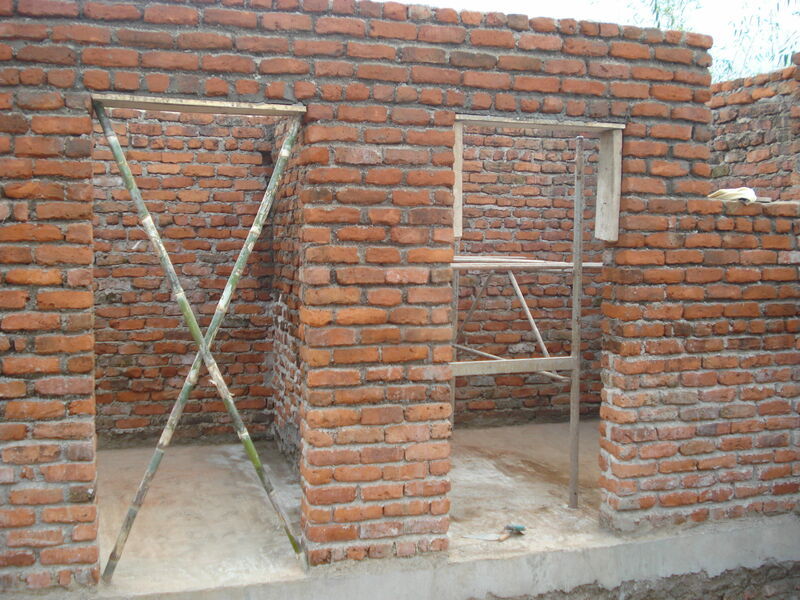 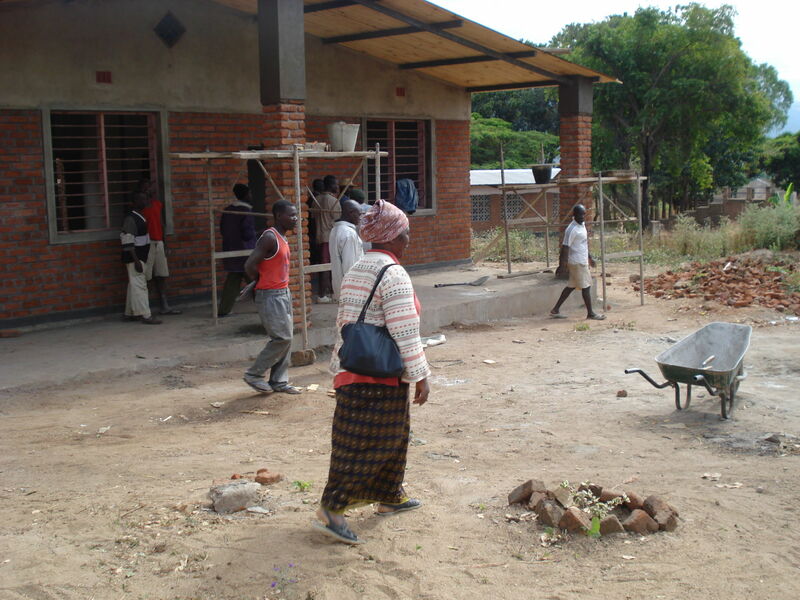 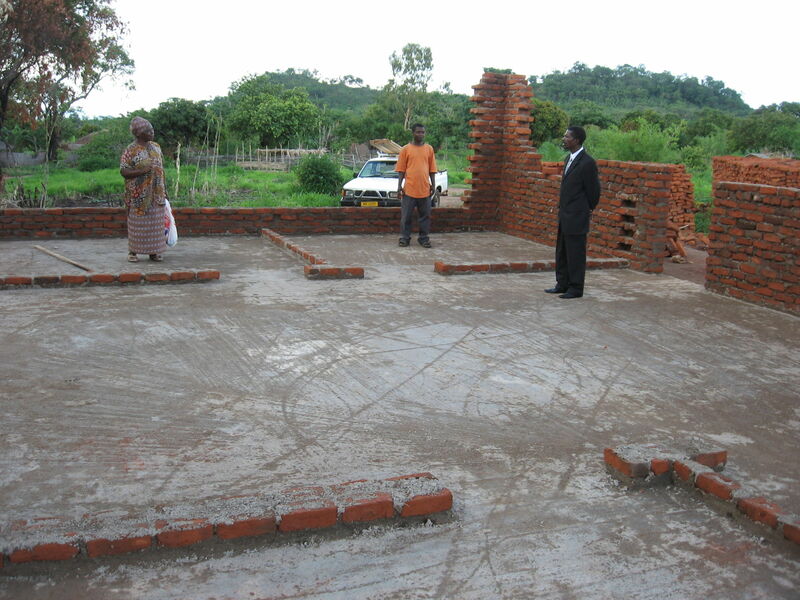 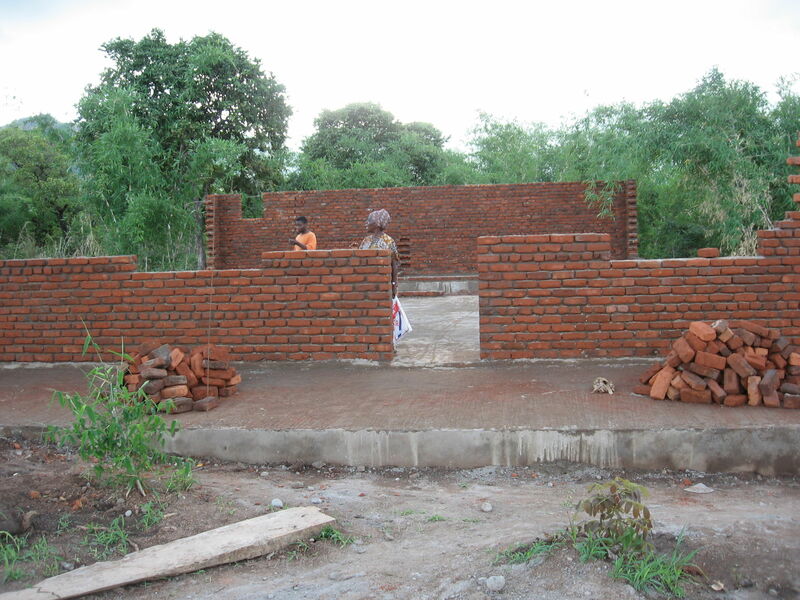 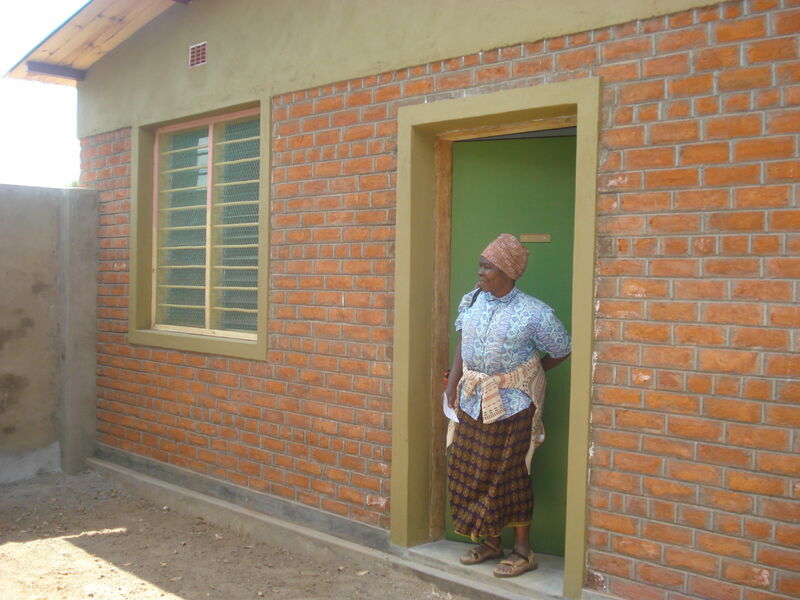 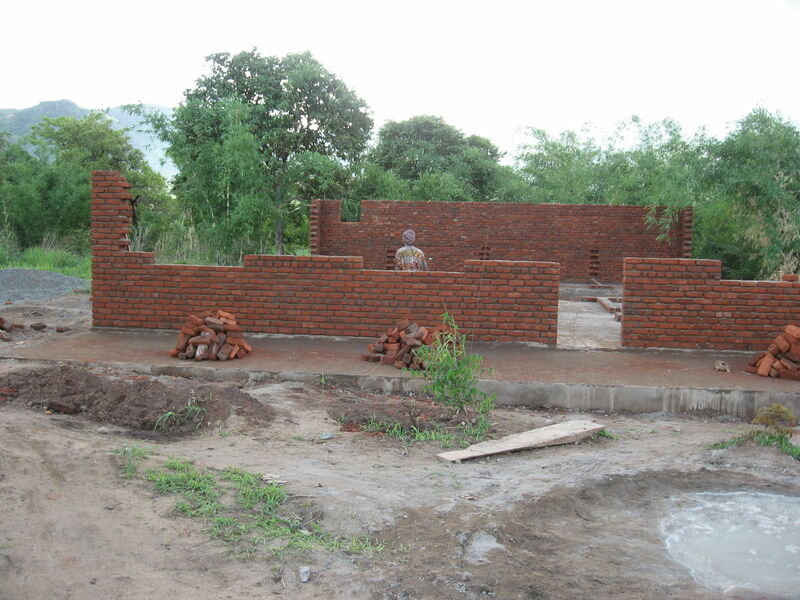 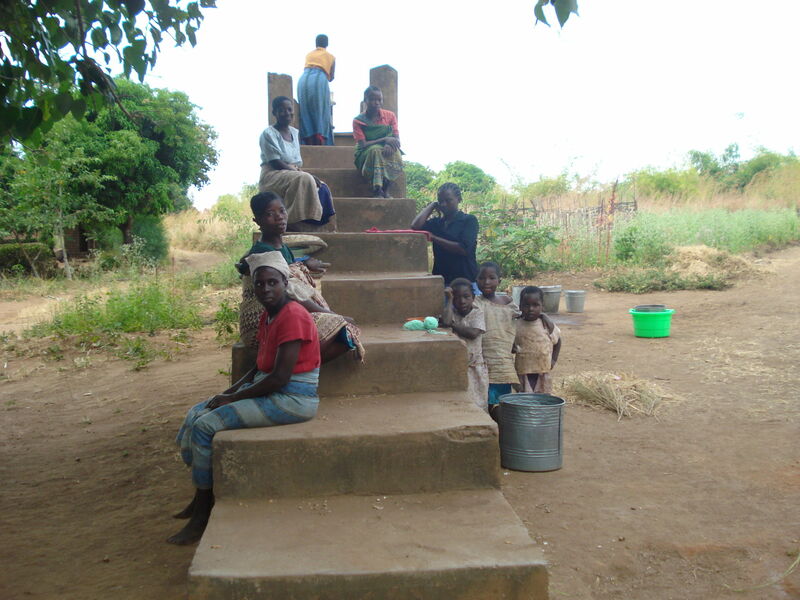 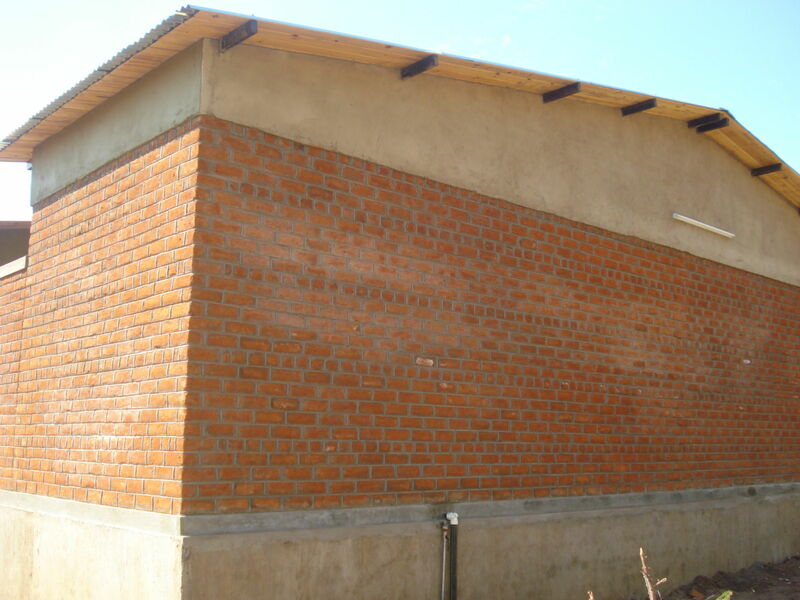 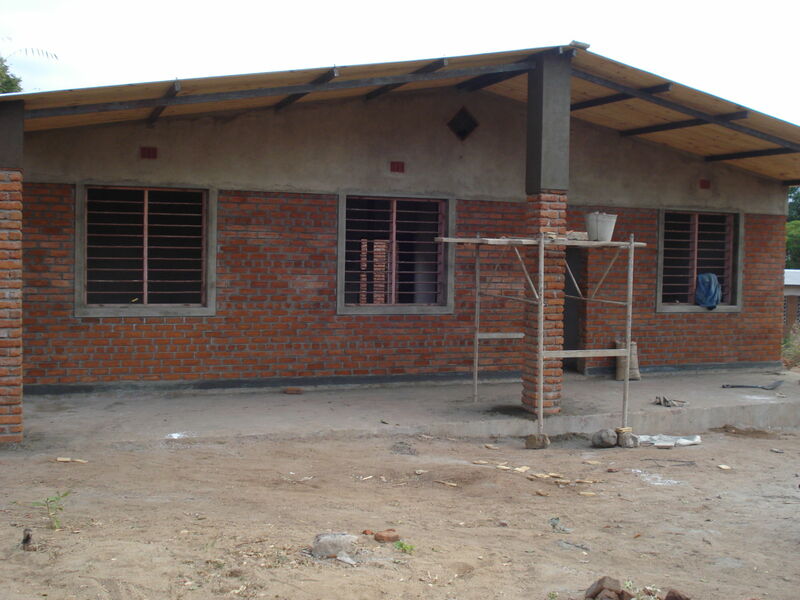 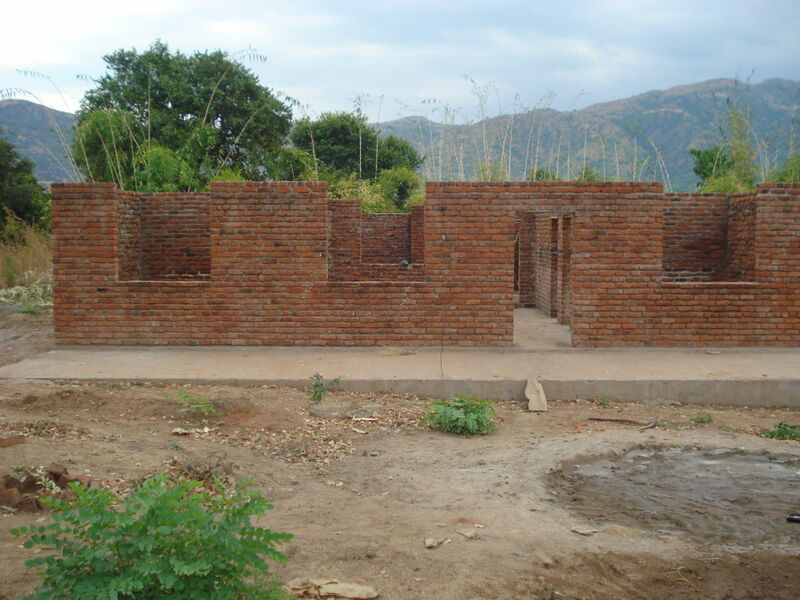 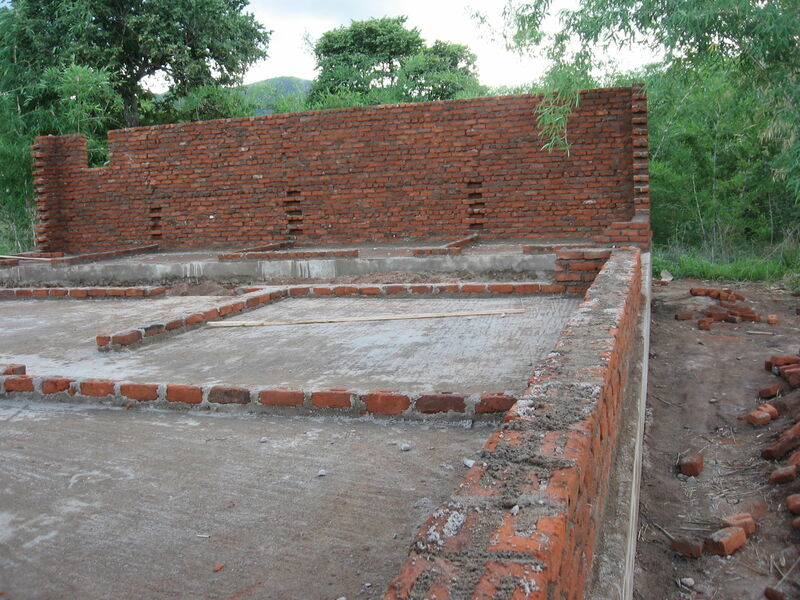 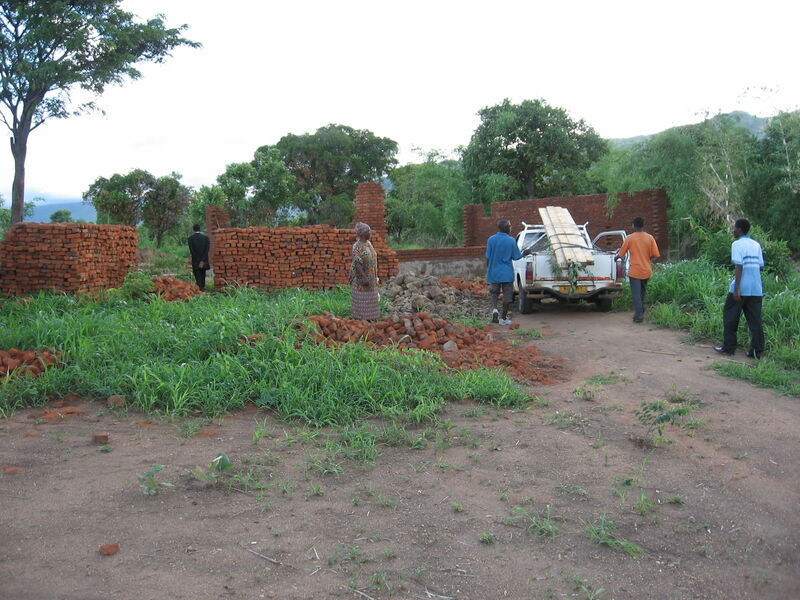 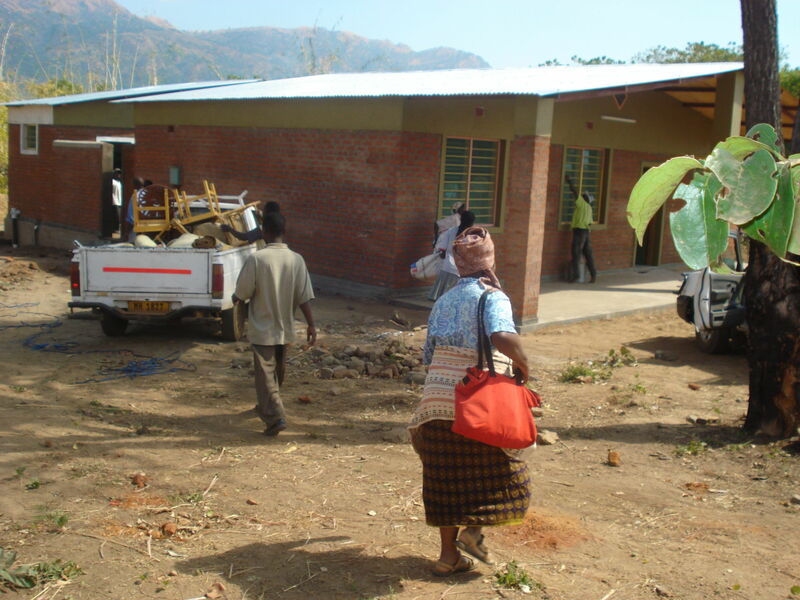 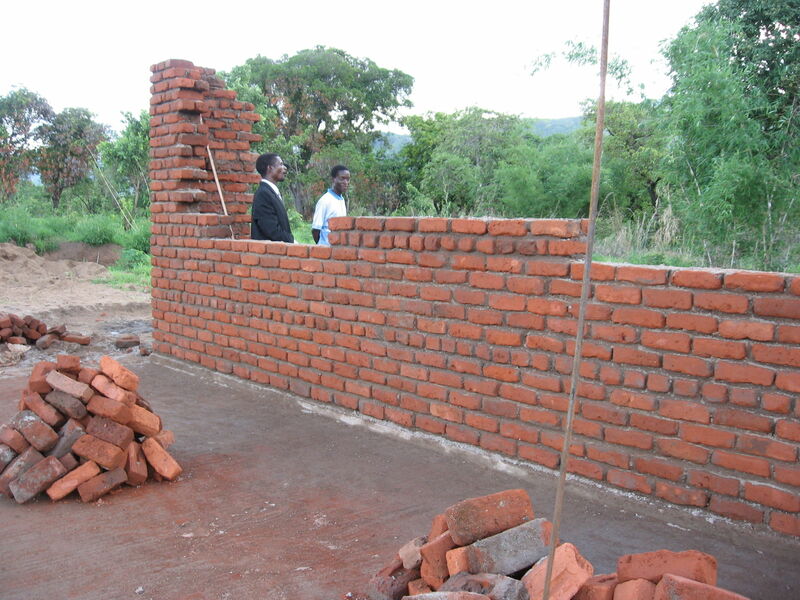 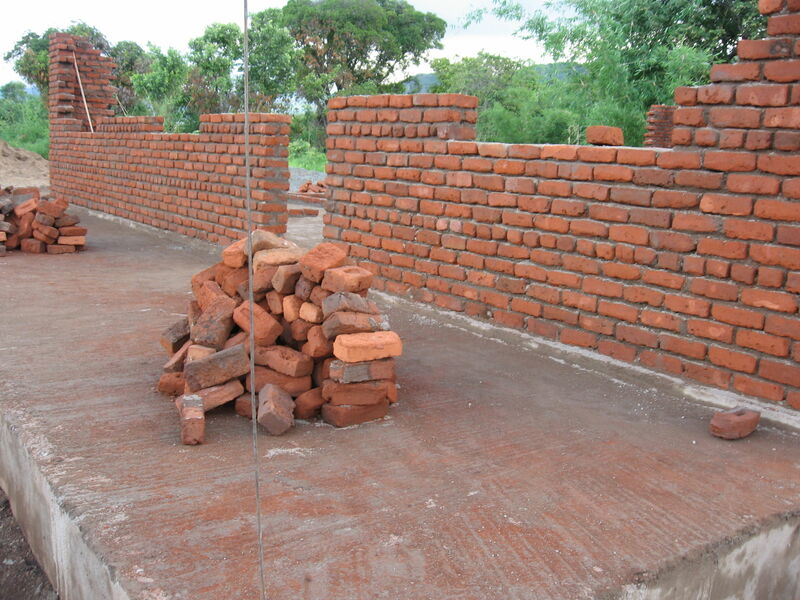 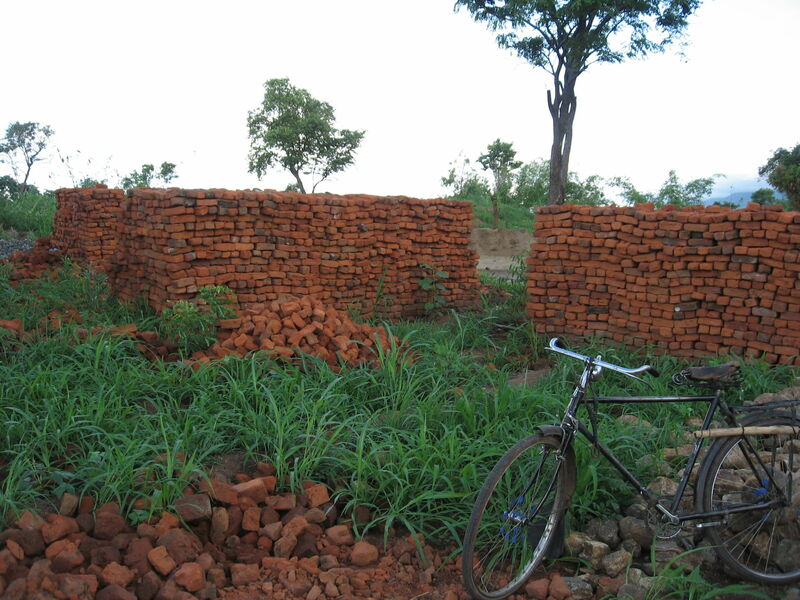 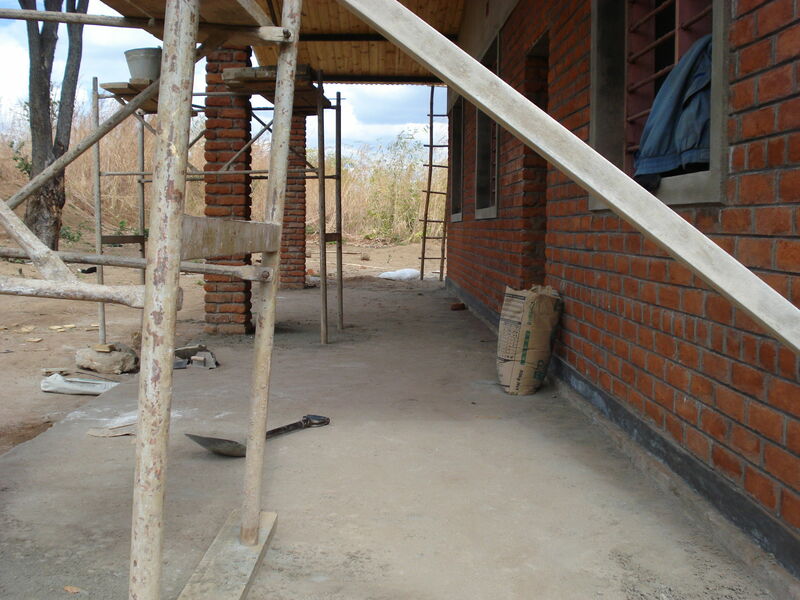 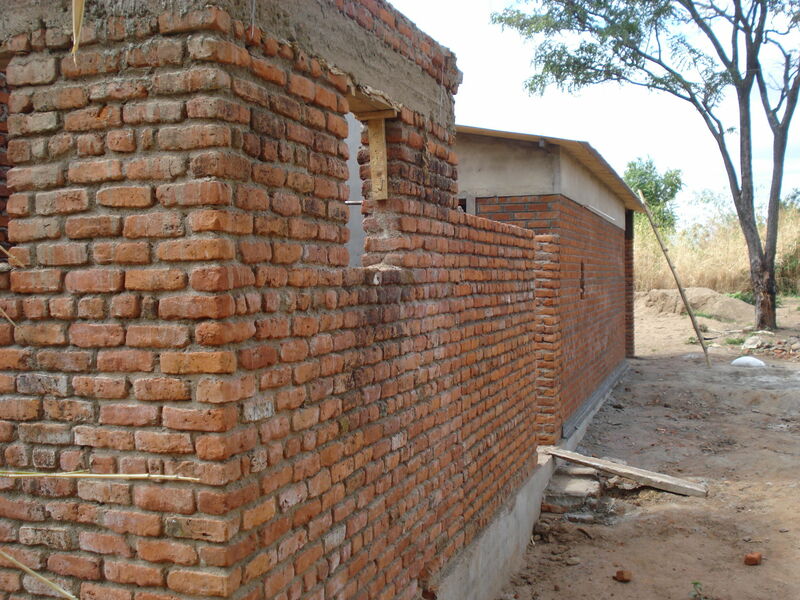 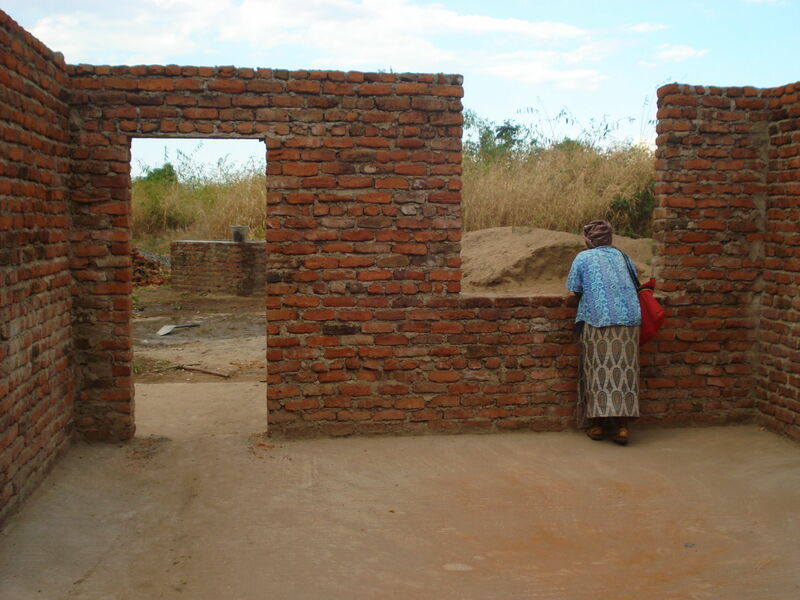 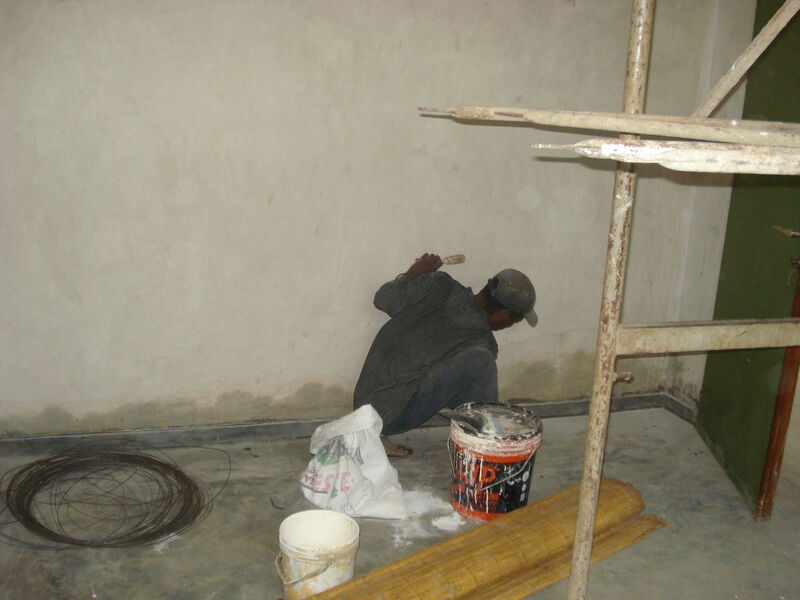 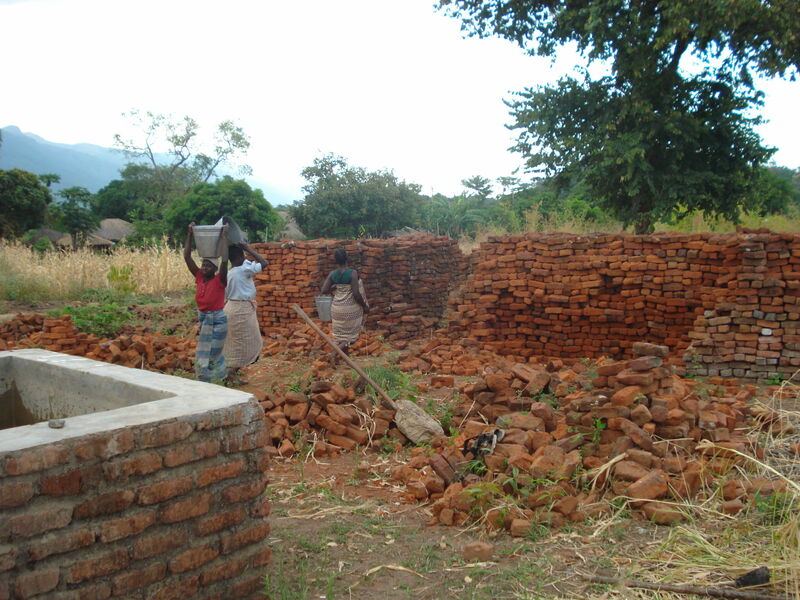 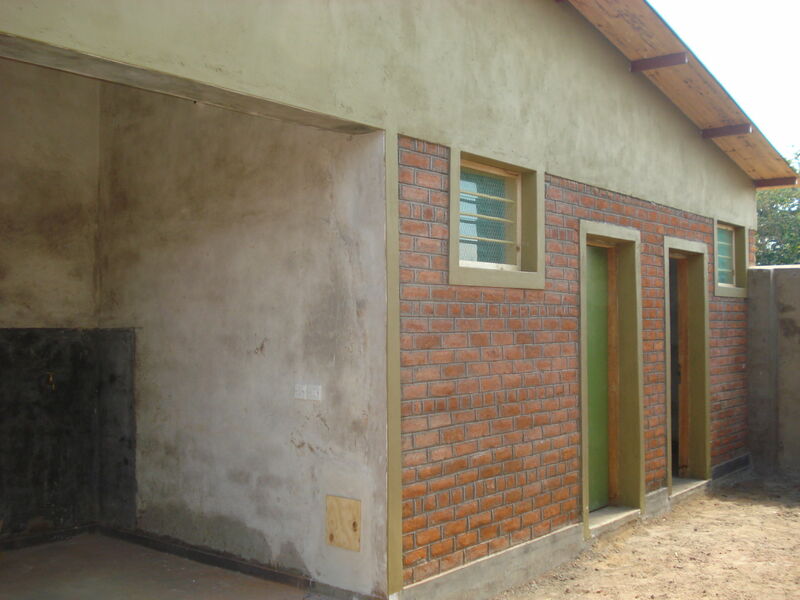 In August 2008 the first house was finished, built by the Montfort Fathers of Balaka, Malawi. 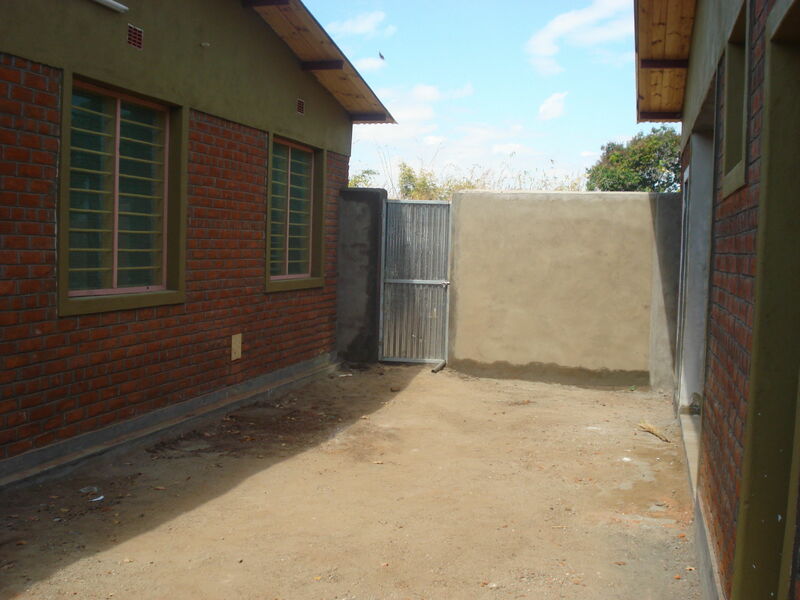 This house was funded by the Nazareth Foundation. 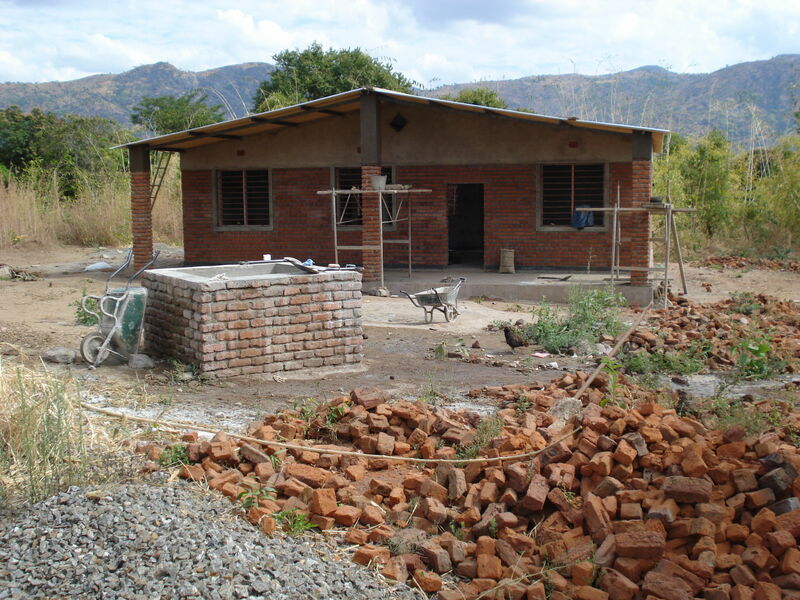 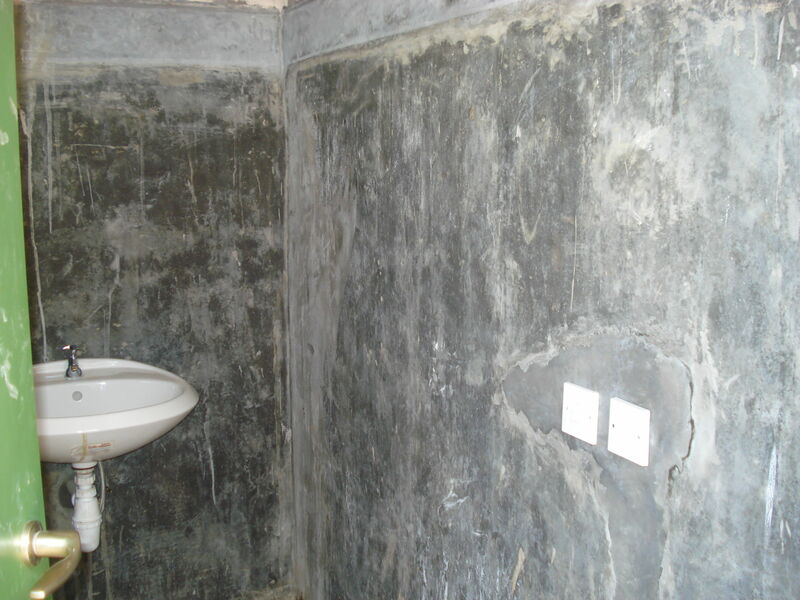 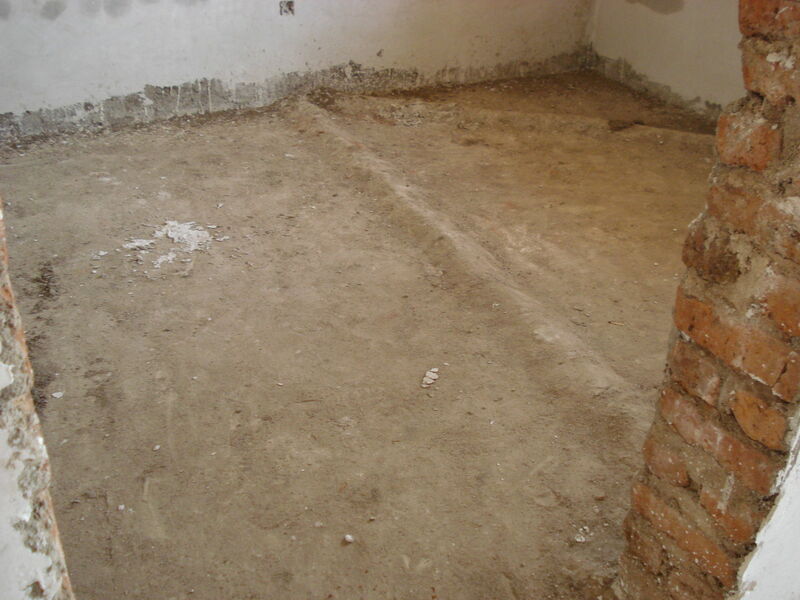 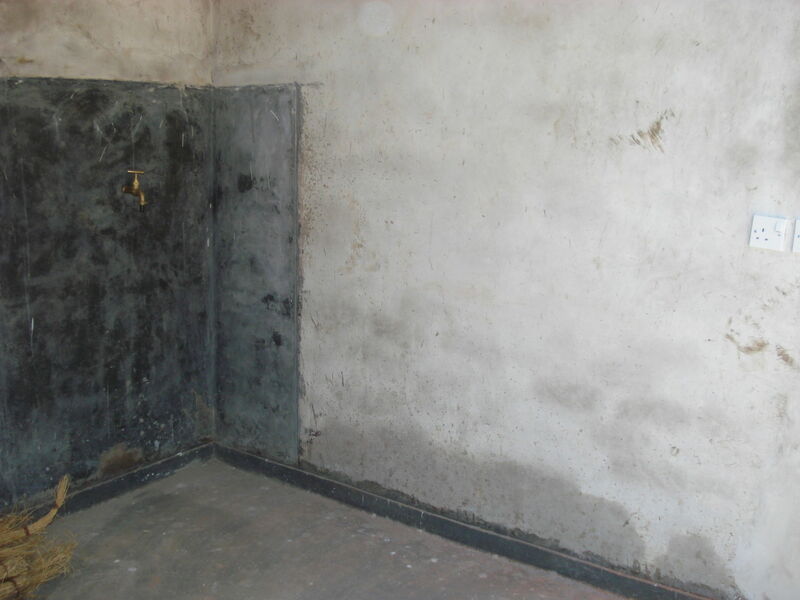 This is now Josefa's home, from where she works on fullfilling her dream of human development. 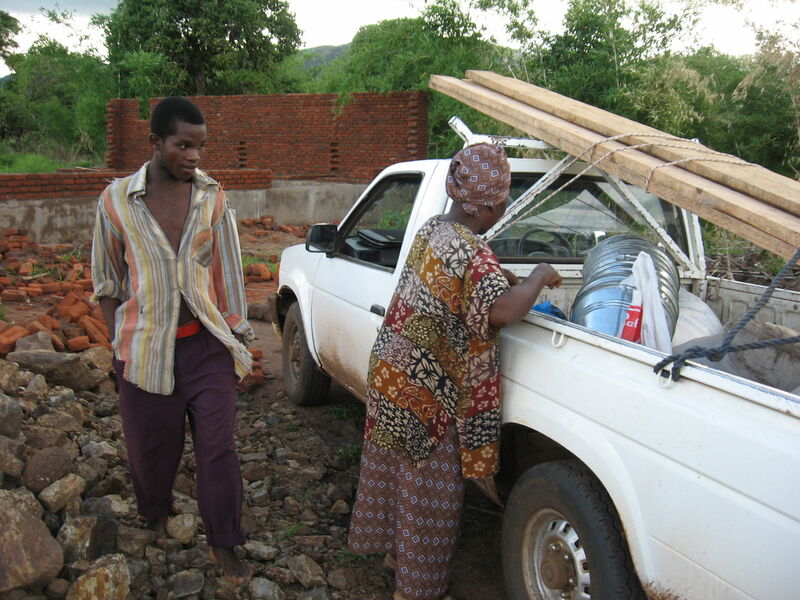 Josefa with June Walker. 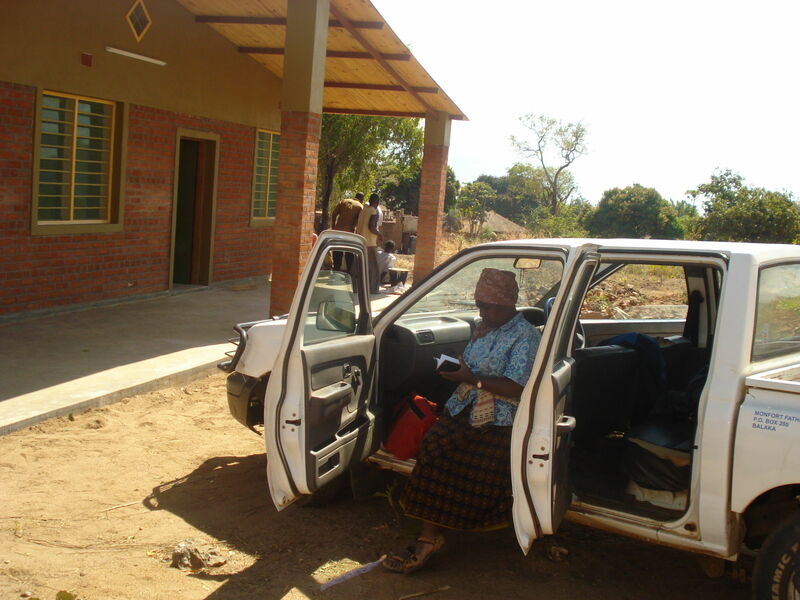 June is a good friend to Josefa. 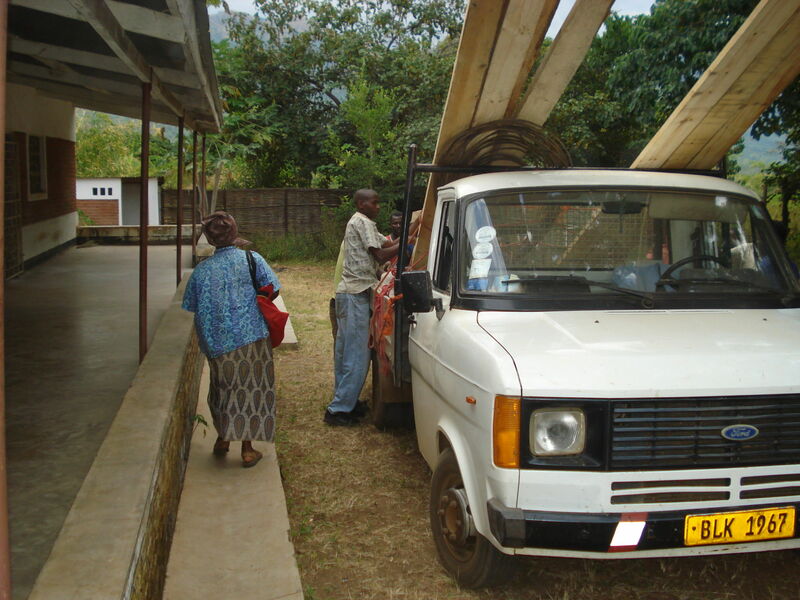 whenever she can. 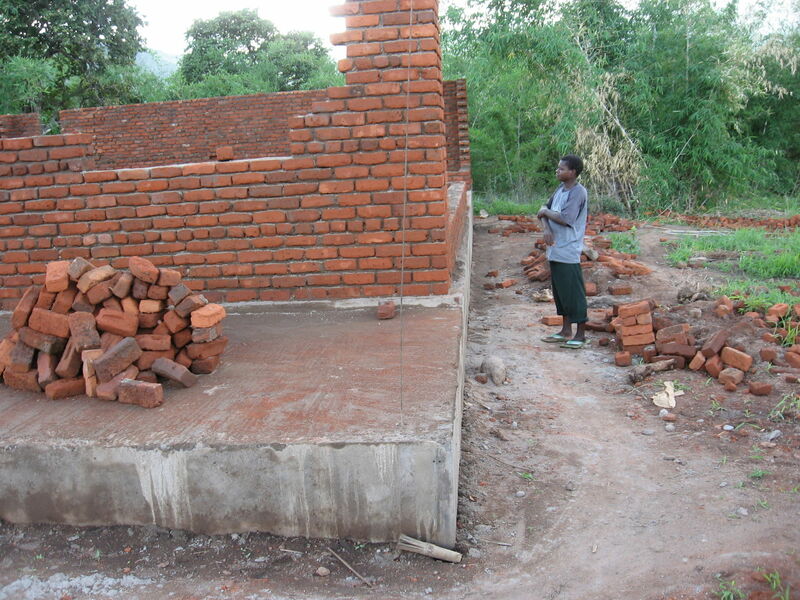 She is an expert on permaculture. 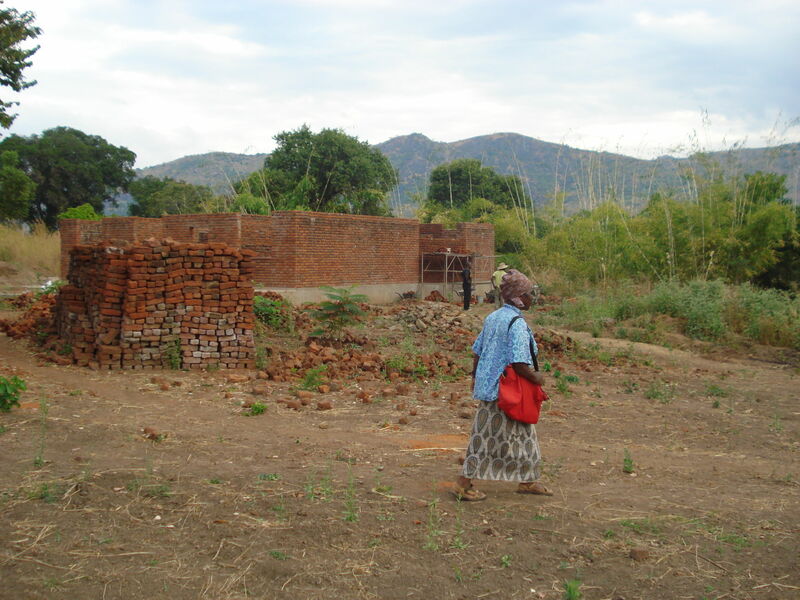 She has been living in Malawi for more than 50 years. 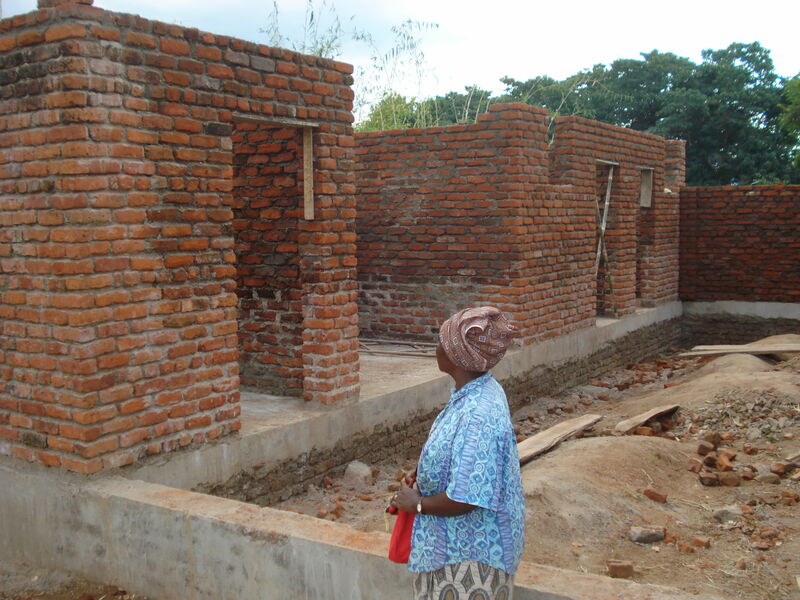 June gave a big donation which was used to build the second house in 2015 / 2016. 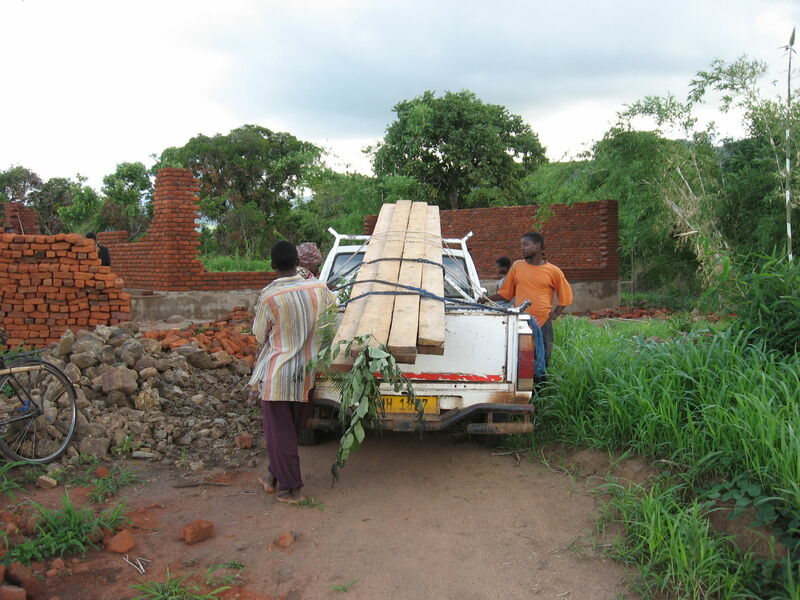 In 2009 a fence and summerhut were locally built. 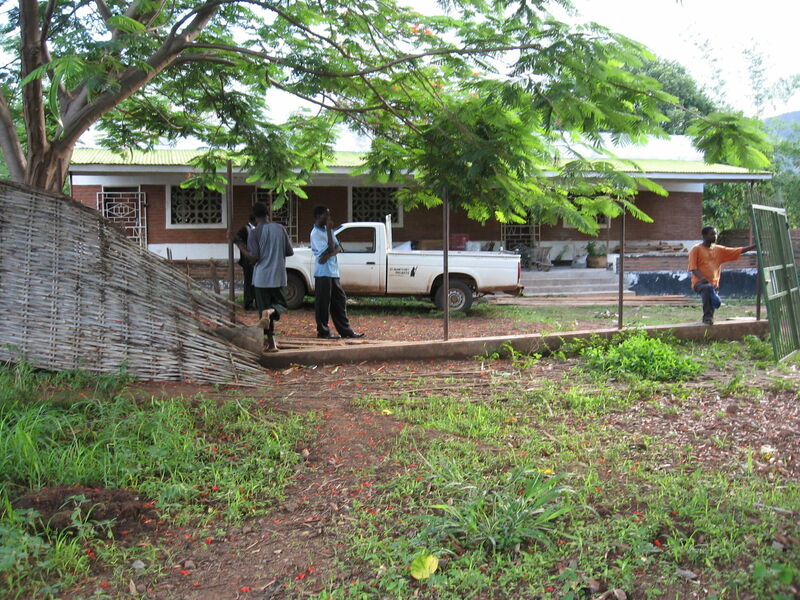 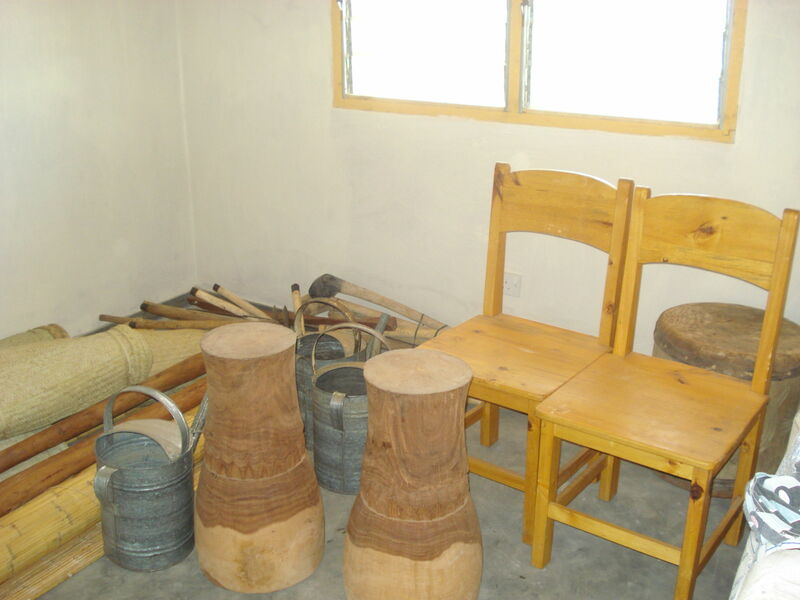 Josefa also started a vegetable garden and planted many fruit trees. 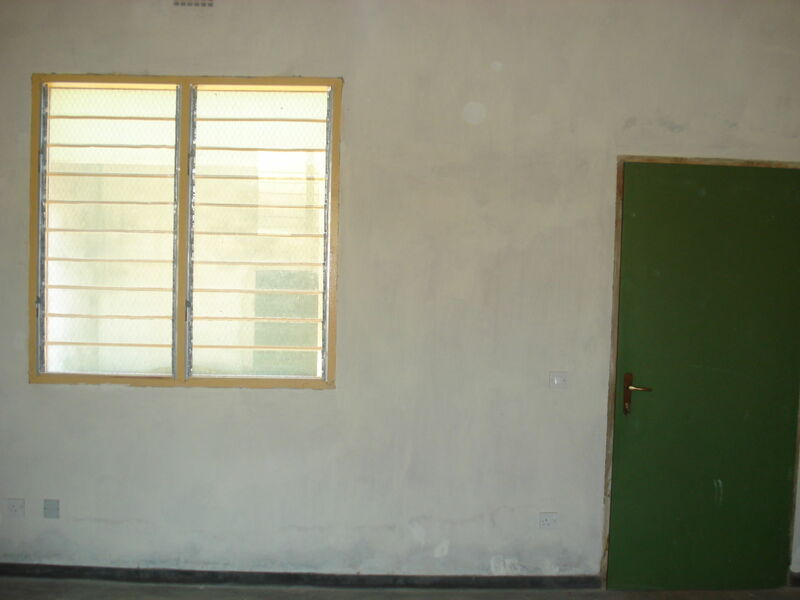 In 2012 Nazareth is more and more a green oasis. 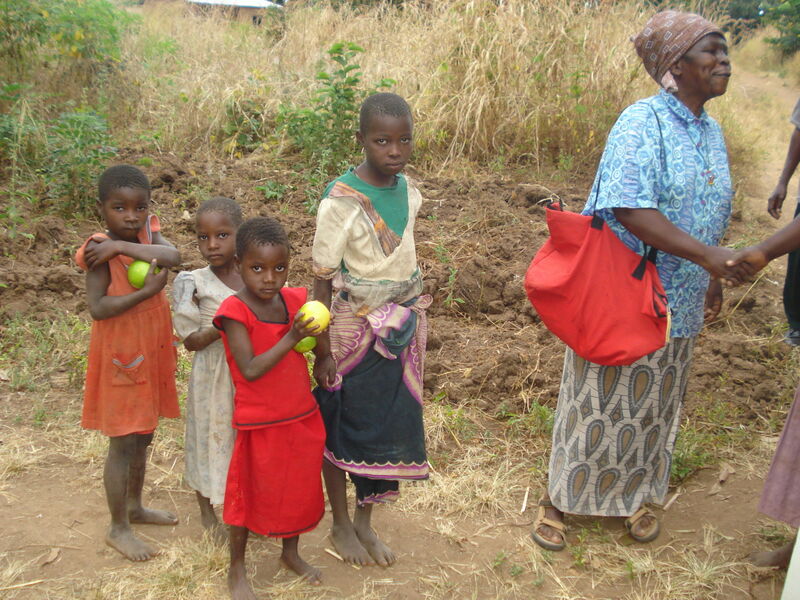 The fruit trees are starting to give delicious fruits, many flowers bloom and the vegetable garden is doing very well too. 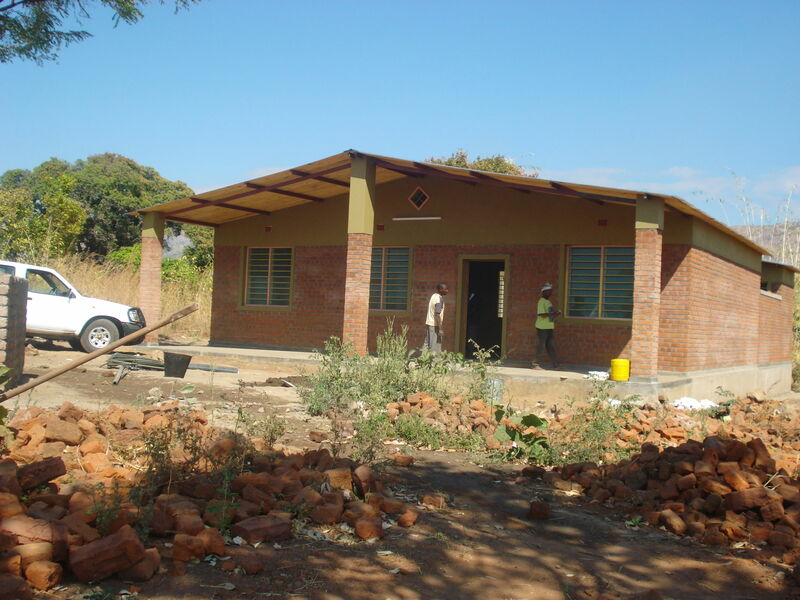 Josefa is growing maize, soja, groundnuts and sweet potatoes. 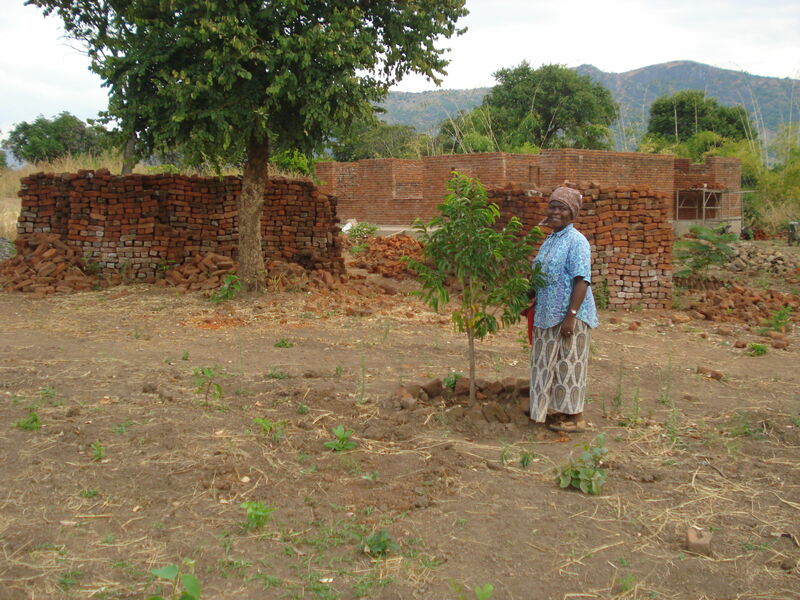 Right in the middle of the premises Josefa planted a small wood of indigenous trees. 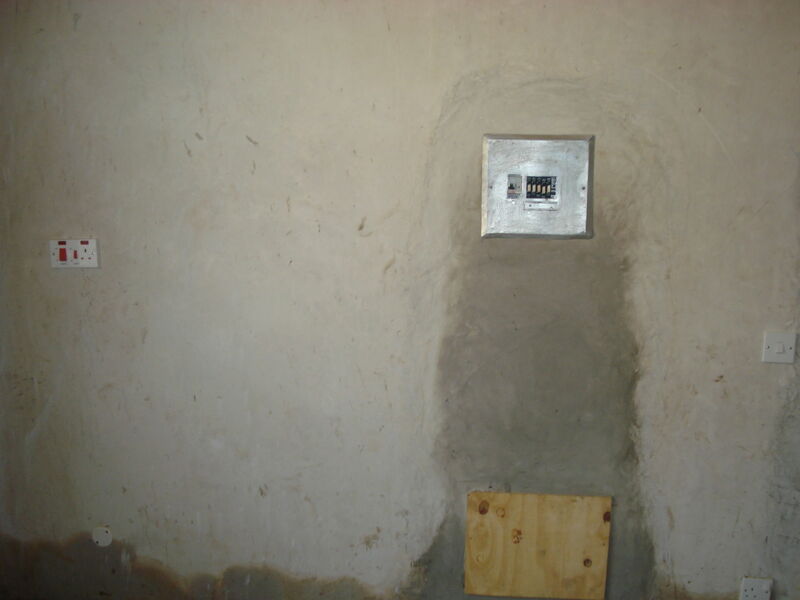 In 2012 an electric waterpomp was installed, electricitiy coming from solarpanels. 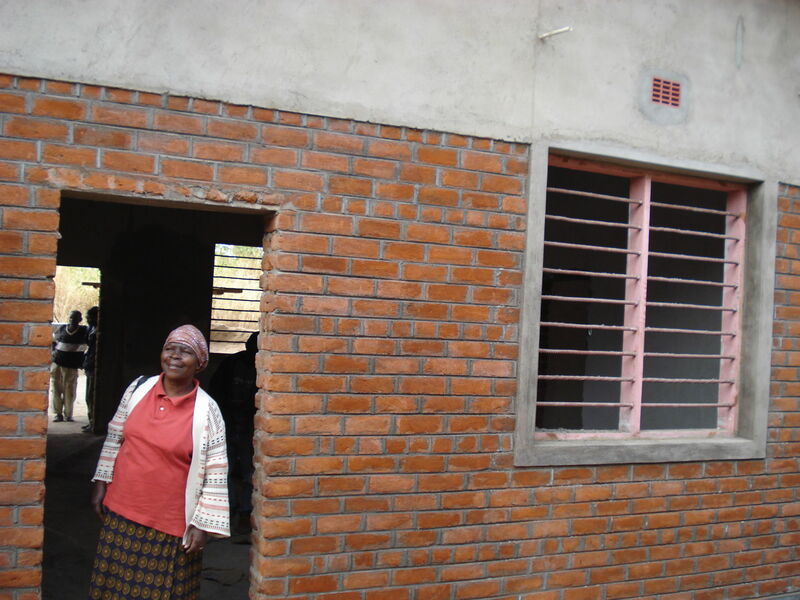 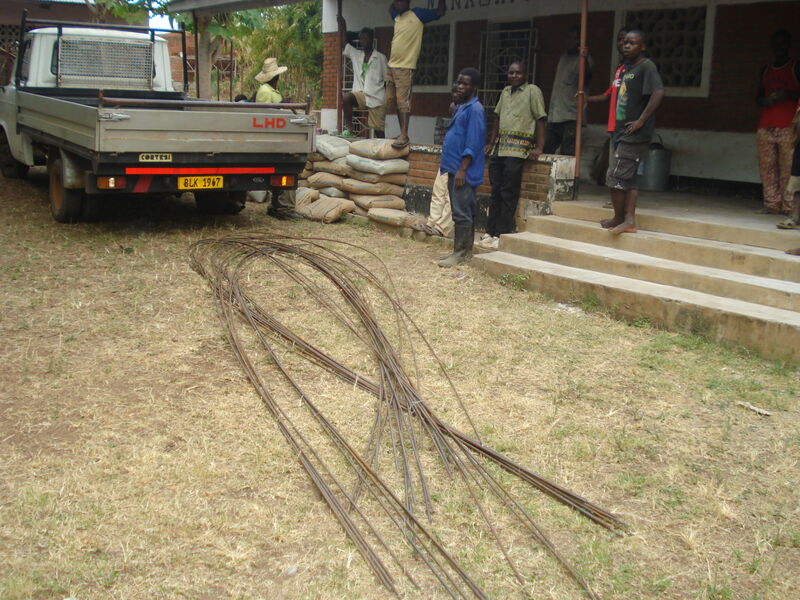 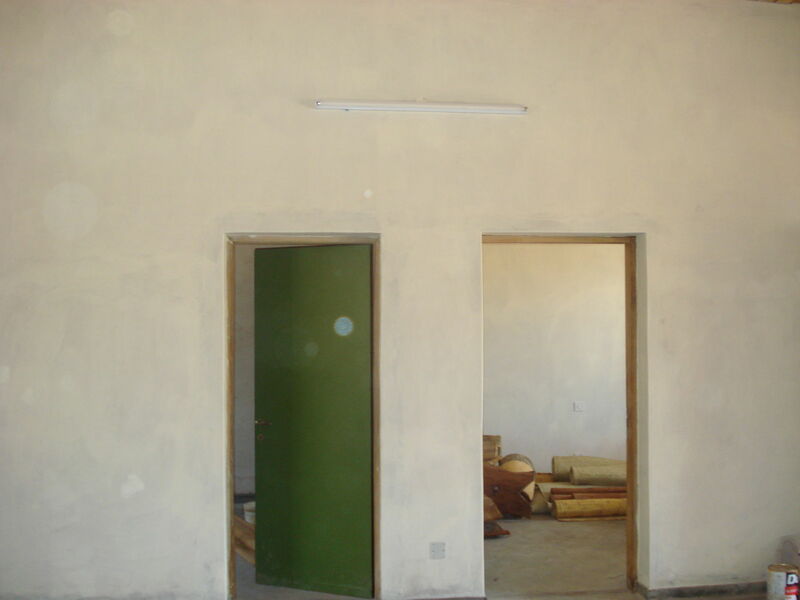 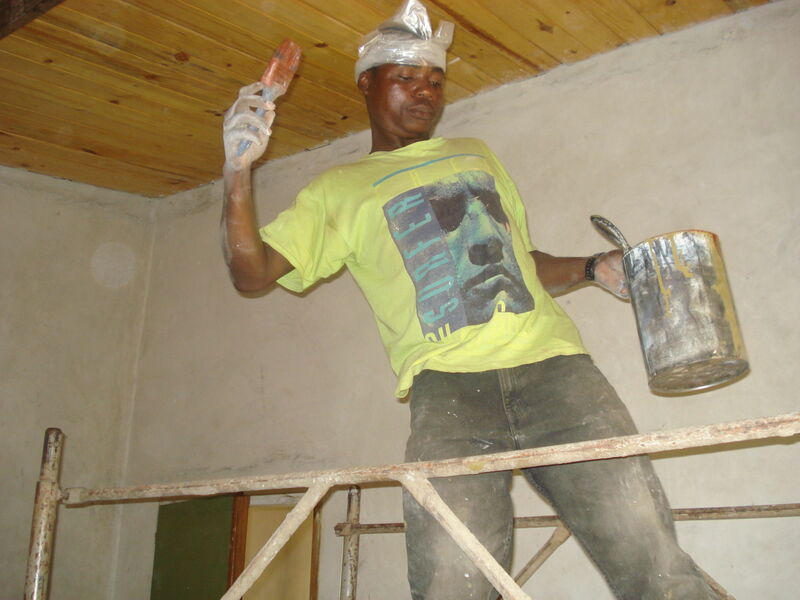 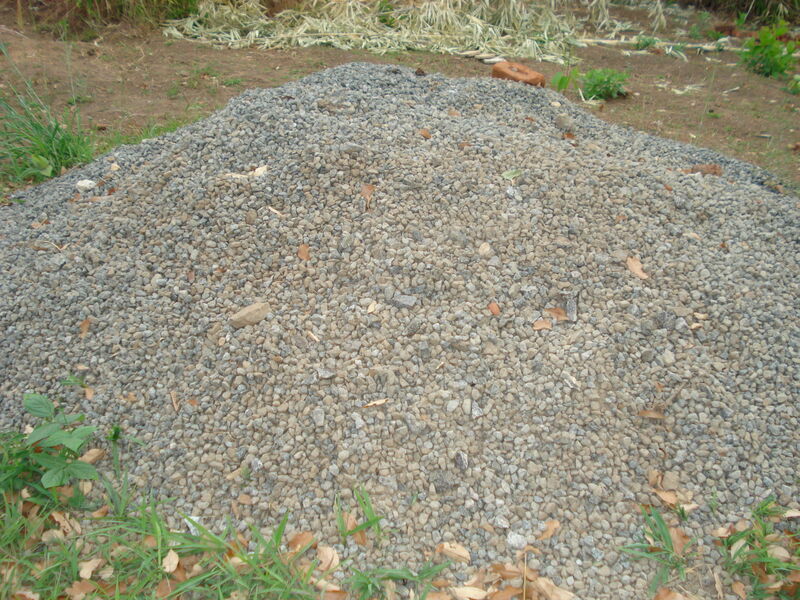 This project was funded by Josefa herself and by the Nazareth Foundation. 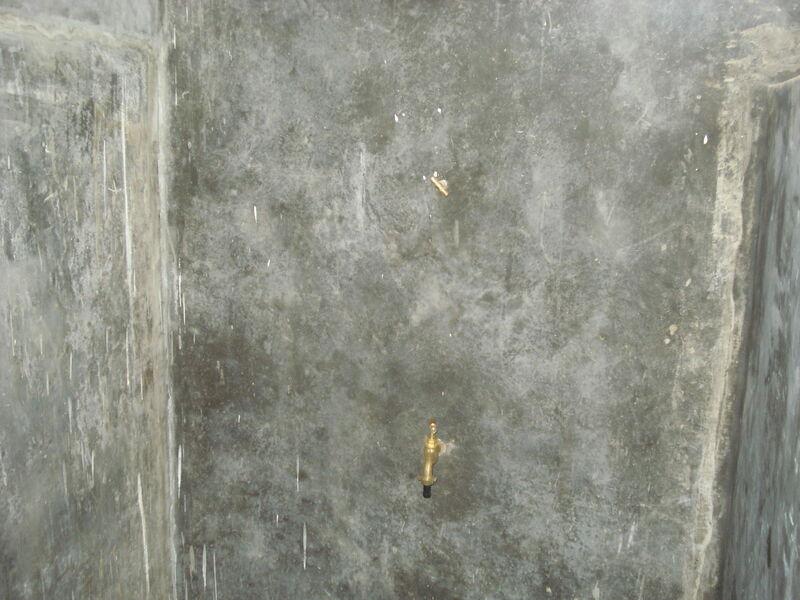 to the plumbing in the house. 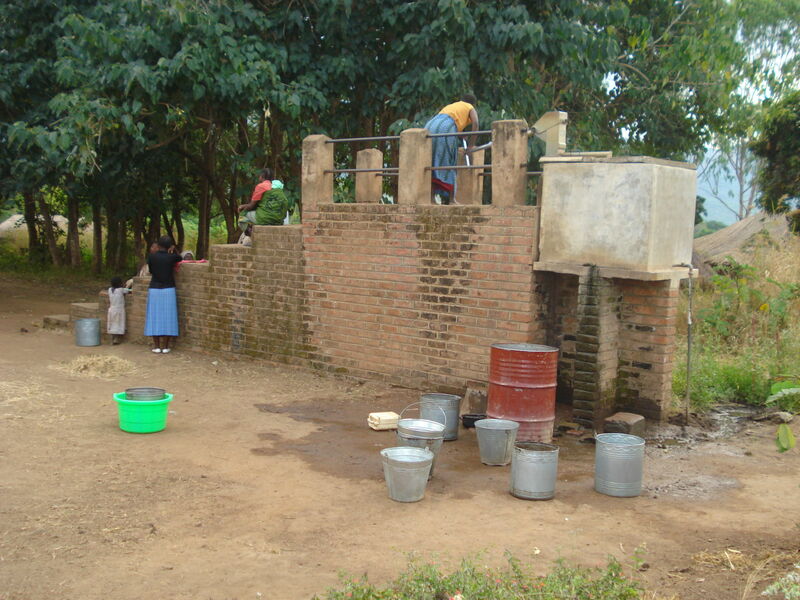 No more need to fetch water from the well! 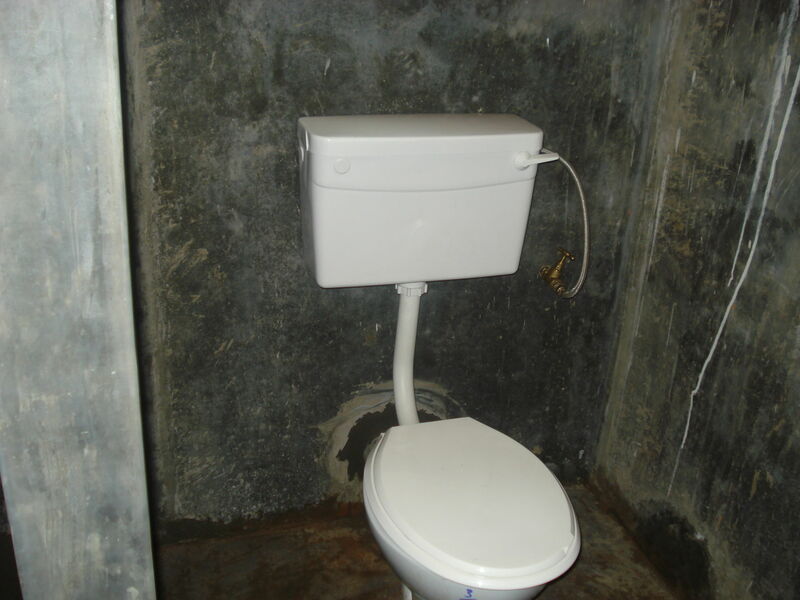 So now we can water the garden the whole year round. 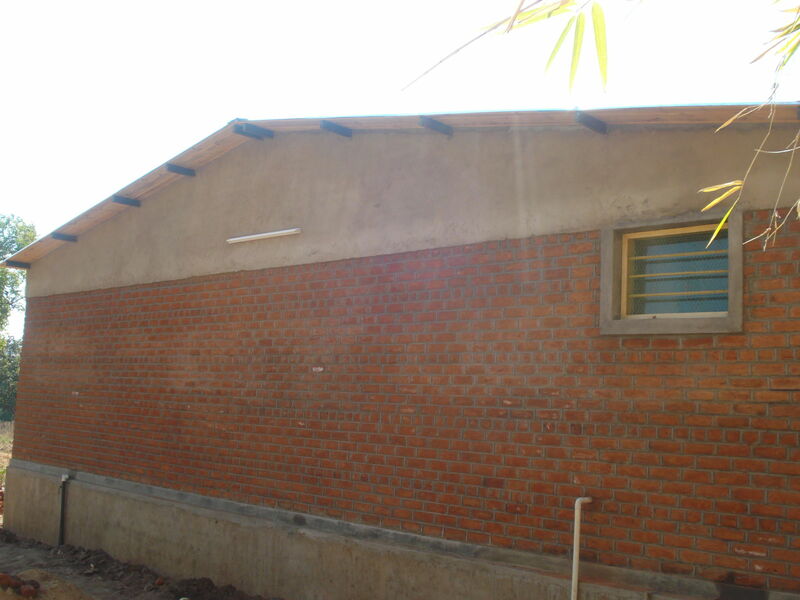 Also the second house, built in 2015 and 2016 gets its water from this tank. 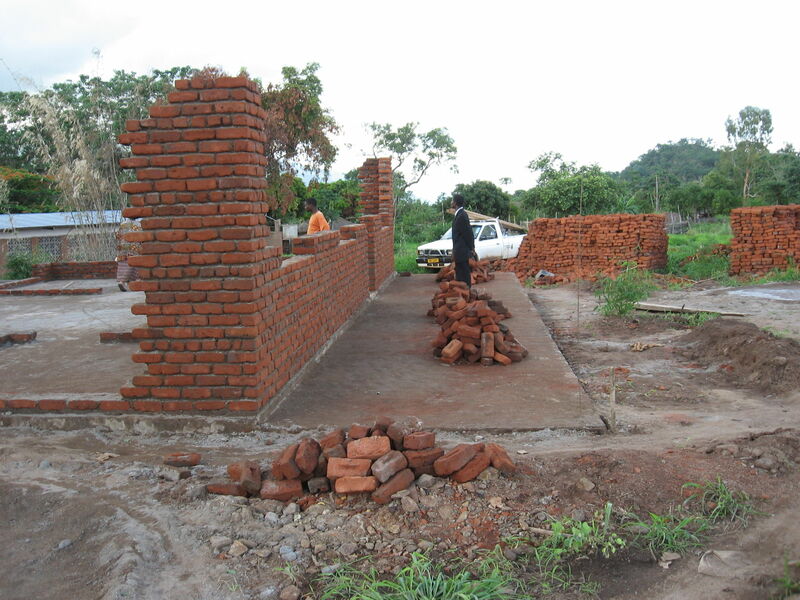 See the newsletters for the follow-up on the developments at Nazareth.